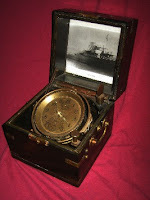 Matching Shipwreck Test: ﻿Test your shipwreck knowledge. In March 1926, the Atlantus was used for the construction of a ferry dock at the eastern tip of Cape May. On June 8th, a storm hit and the ship broke free of her moorings and ran aground 150 feet off the coast of Sunset Beach. 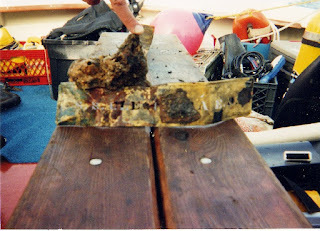 Although the ship is in shallow water the conditions can be treacherous due to the sharp remnants of re-barb reinforcement and the strong currents that prevail in the mouth of the inlet. 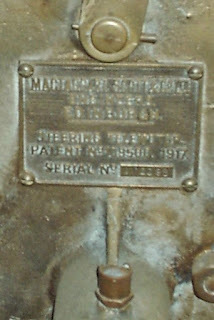 Mike Edelon plaque from Pierce Arrow cargo. 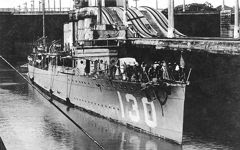 The Almirante was built in 1909 and sunk on September 6, 1918 in a collision with the USS Hisko off Atlantic City. 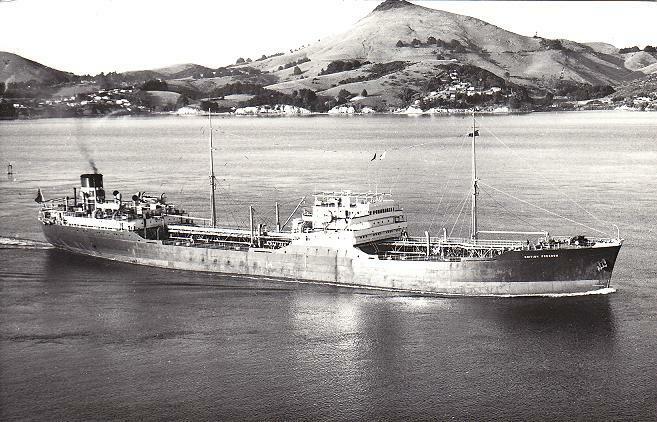 This 3,121 ton passenger freighter was owned by the United Fruit Company. It is also known as the Flour Wreck, since flour was part of it's cargo and it washed up on nearby beaches. This wreck sits in 65 feet of water. It is a big wreck, having been wire-dragged twice and depth charged. It still contains a cargo of china, tiles, kerosene lanterns, milk bottles and plenty of brass. 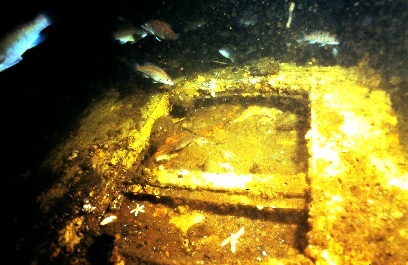 The wreck has a lot of structure for lobster to hide in and large mussel beds. The Flour normally has better visibility than the surrounding wrecks because it sits on a shallow ledge. 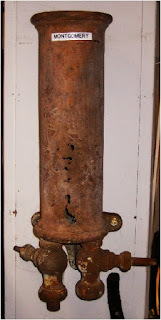 In the spring of 1942 the Arundo was torpedoed by the U-136. When it hit the number 2 hull, the vessel had a 90 degree list to starboard side in 5 minutes. This vessel was a powered by coal fired steam and is 412 feet in length. 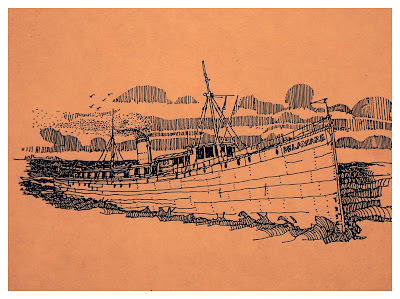 At the time of its sinking the Arundo was carrying cargo cases of evaporated milk, canned herring, lubricating oil, 123 three ton GMC trucks, 2 locomotives and 5000 cases of beer. For a noncombat freighter she was suited with a 4 inch gun mounted on the after deck, 2 20-mm antiaircraft, 2 twin marlins, and 2 30-caliber Hotchkiss guns. The wreck now lies in 130 feet of water. 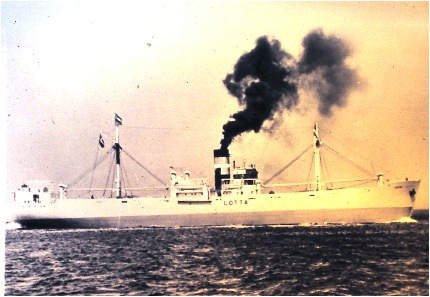 The Danish freighter Astra was carrying a cargo of car parts and hardware when she entered a fog bank and her cargo was busted open by another freighter the Steel Inventor on March 30, 1951. Salvage attempts failed even though the bow floated for a short time afterwards the collision. 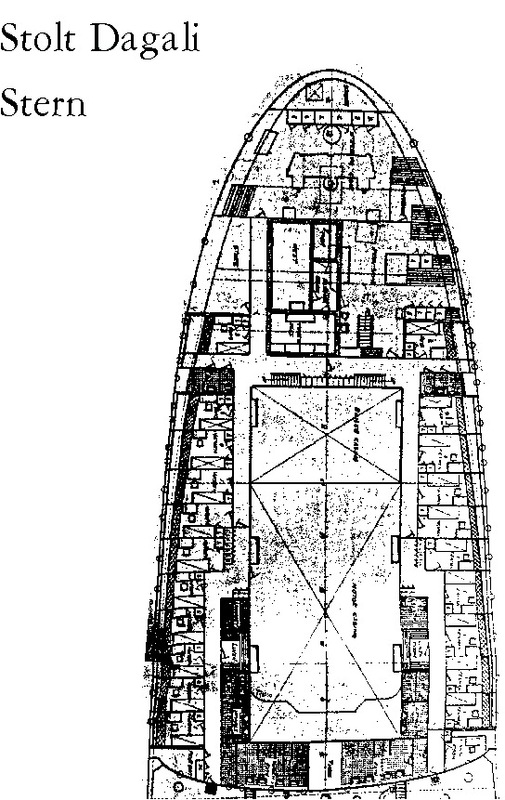 Astra was 333 feet in length and the large stern section remains intact. 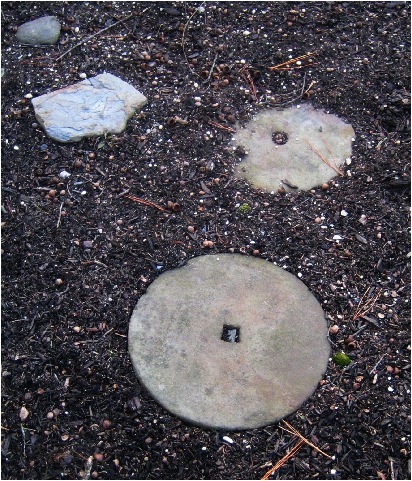 Here large openings allow access where steel porthole can uncovered and a steel wheel once stood. Today divers searching in the bow area will uncover Kelly anti-friction metal bars, radiators, tires, a huge anchor at the bow and the large steel prop in the mid section. The Ayuruoca was 6,872 ton freighter sunk on June 10, 1945 during a collision. Also known as the Oil Wreck, this wreck is considered deep, dark and dangerous. It sits at 170 feet in the "Mud Hole." It has fishing line and netting on some parts of the wreck so divers should be cautious exploring. The stern is split from the bridge section which rises to 140 feet. The forward mast rise to 110 feet and remains standing. This wreck is an exciting dive for experienced divers. Across the Mud Hole from the Ayuruoca lies the Across Wreck hence the name. 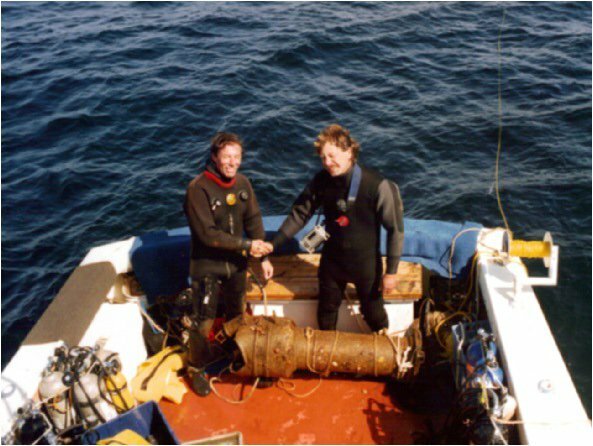 This large wooden unidentified wreck is still a mystery and has much potential for experienced artifact divers. Here three dogged portholes, brass parts, cages lights and other bits lie loose in the wooden structure. Divers are warned of netting and pot lines mixed in the wreckage. This 414 foot Norwegian freighter was torpedoed on April 30, 1942, by the German sub U-752. The wreck is starboard side up and much of the hull has spilled out into a large debris field. 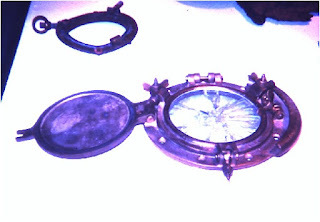 Several portholes remain as navigational points in the center of the wreck. The stern is still loaded with navigation equipment. 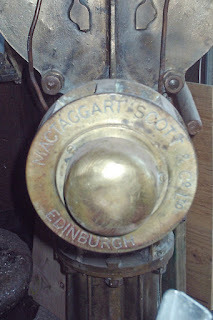 Interestingly, two bells have been recovered with the name inscribed on each over the years. 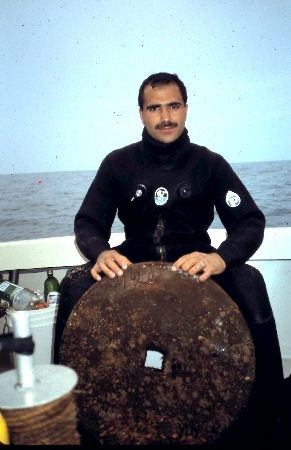 Bidevind lies in 190 foot of water and because of it's distance offshore, it is infrequently dived. 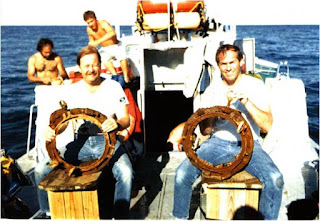 On February 29, 1994 she was sunk as a reef off Atlantic City. She had previously also served as a lightship on the Diamond Shoals, and New Orleans stations. Still loaded with brass it is unfortunate that when sunk, the wreck lays turtle in a mud bottom. The Brian C tug was lost in a storm on November 13, 1979, 40 miles off Cape May. A dramatic rescue was made by a Coast Guard helicopter crew and rescue divers as she slipped beneath the waves. 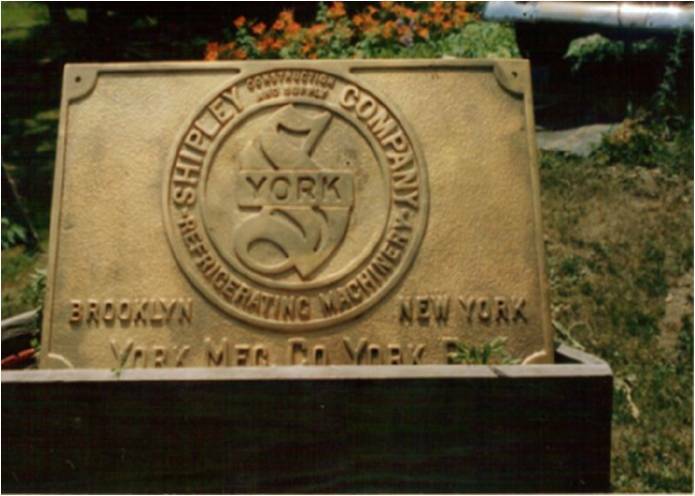 Built in 1948, the original name John Cushman was changed with a transfer of ownership in the seventies. 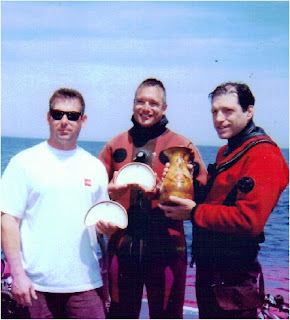 Brian C was the object of a search by Atlantic Divers and Captain Bob Miembresse of the Down Deep out of Cape May in the early 90's, when another historic wreck was discovered the Montgomery ( Max's Wreck). 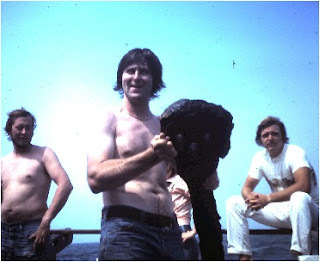 The tug was found and dived the following year by the fore mentioned. The Brunette was a freighter sunk during a collision in 1870. 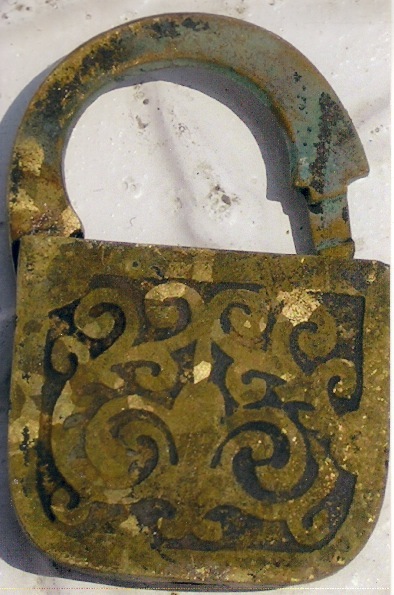 It is also known as the Door Knob Wreck since many porcelain doorknobs were recovered after it's discovery. 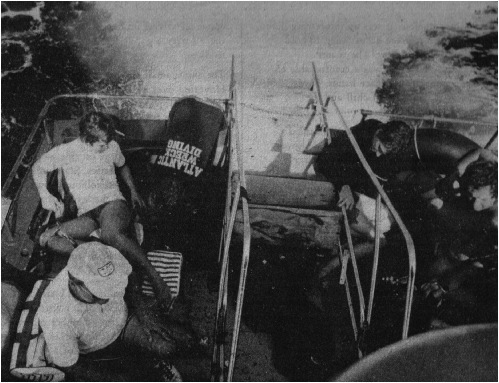 The Brunette sits in about 75 feet of water. 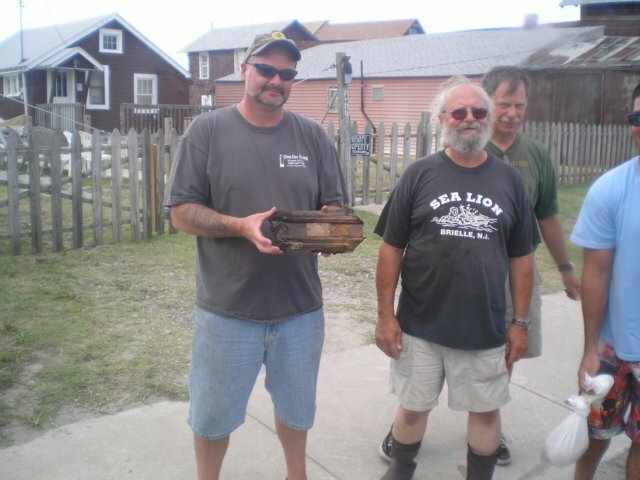 A premier digging wreck, Chuck Wine recovered a bilge pump manufactured by Pusey and Jones identifying the wreck in the early eighties. Brass keys wrapped in wax paper around door locks, white marble, and brown alabaster door knobs , coin silver spoons, bottles, gun powder flasks and assorted hardware still lie beneath the sand. Captain Dan Bartone recovered a spectacular brownstone, blue flowered urn in the mid nineties Visibility can vary on this wreck since it lies just outside Manasquan Inlet. Carolina This passenger freighter was built in 1896 and powered by coal-fired stem. This 380 foot freighter was shelled by U-151, part of the six vessels sunk during what is known as Black Sunday. It now lies in 240 feet of water. Rarely visited, this massive teak decked wind jammer with auxiliary steam power was thought to be the Brazilian freighter Cayru lost during WWII. Here the teak helm stand was recovered in the early 1990s.. Much investigation is still needed to uncover it's true identity. 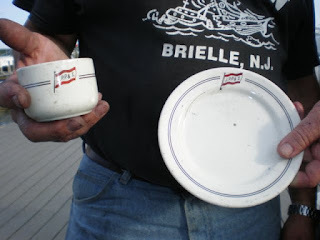 was sailing from Plymouth, England to Philadelphia loaded with tons of stoneware and pottery. 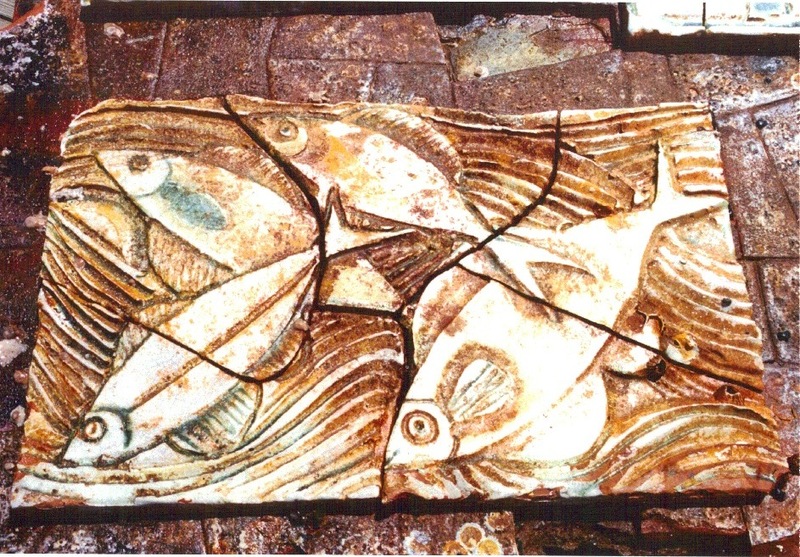 Thousands of pieces of china have been recovered on this shallow wreck. Although it is in only 40 feet of water it is considered an advanced dive due to the tremendous current which flows during the tidal flows of the bay. 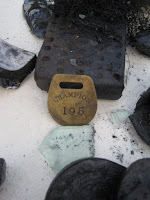 Recent recovery of this luggage tag by the CM Explorer crew indicates it is highly likely this is the Champion. 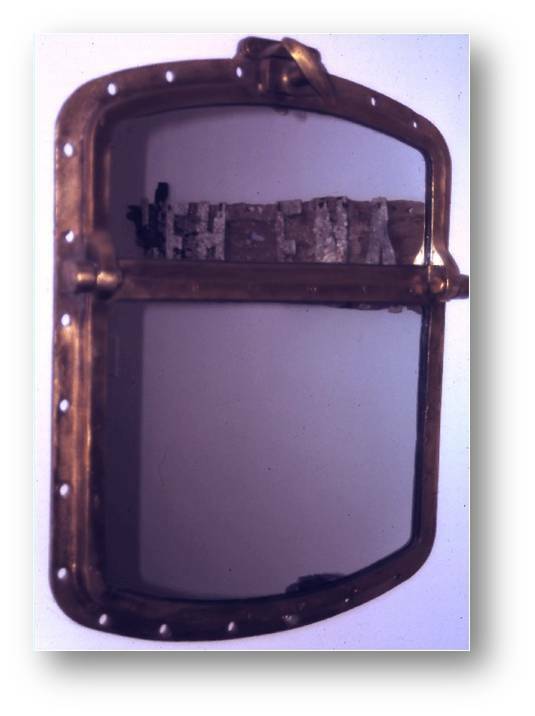 This paddle wheeler sunk on November 7, 1879 in collision with the schooner Lady Octavia. There was a loss of 28 passengers. This deep-water paddlewheeler lies at 115 feet and is in an area with usually very clear water. Lost in a storm on February 26, 1918, this tug remains upright on the sandy bottom. 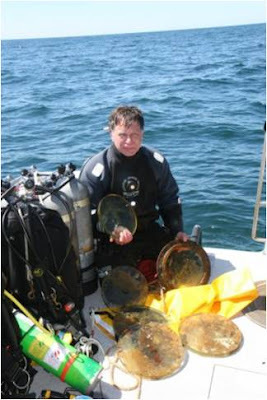 Divers can dig in the bow area for brass casings and assorted hardware. 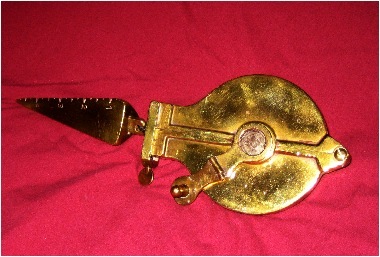 The gun has been salvaged, yet the debris field on the port-side still yields rare wheelhouse artifacts. ﻿﻿﻿﻿﻿﻿﻿ This passenger steamer sank in a collision with the French armored cruiser La Gloire on May 1, 1918. 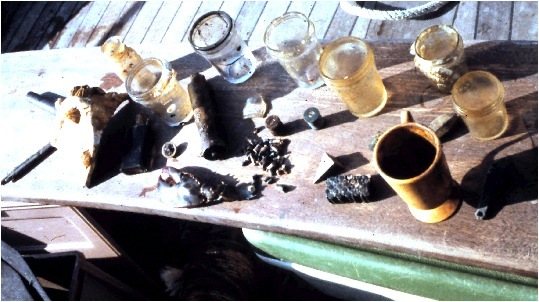 Today, the remains provide the artifact and lobster hunter an infinite store of rifle ammunition, bottles, and assorted war surplus as well as large lobsters dwelling throughout the hull plates. Rifle butts can be located 15 feet forward of the boilers and ammo is in the port bow. Barrel stencil on the Down Deep, positively identifying the Cleopatra. Gary Gentile positively identified this wreck when he discovered a brass barrel stencil in the debris field. The Cleopatra, a passenger freighter, sank together with the paddle wheeler, Crystal Wave, nearby in a collision on October 29, 1889. 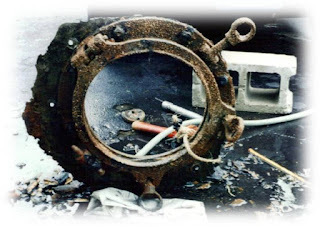 Whale oil lamps, bells, pumps, portholes, deadeyes and numerous hardware pieces continue to be uncovered by divers using scooters moving the sand. This shallow wreck lies in 45 feet of water and used mostly for training. However, it is an excellent spot for spearfishing. 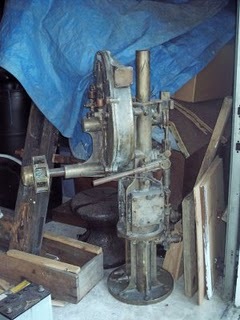 This large, steam-powered dredge was used to dig the Delaware Canal. Today it remains a haven for large tau tog and sea bass, and it is festooned with sponge and cold water coral. This British Steam Tanker of 6,768 tons built in 1937. 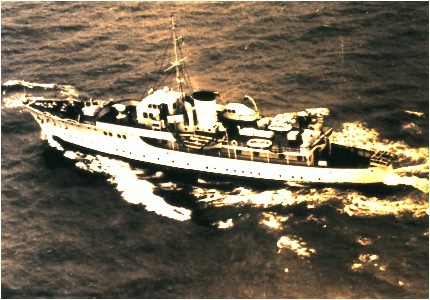 Coimbra was torpedoed by the U-123 on Jnuary 15, 1942 . She had departed from NEW YORK and was headded for the west coast of the United Kingdom carrying 9,000 tons of lubricating oil. Thirty-six crewmembers were lost out of forty-six. 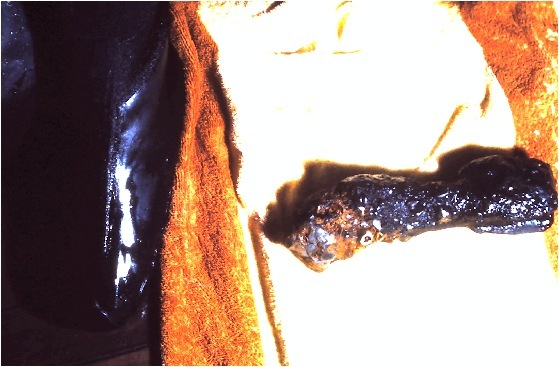 The thick bunker oil floats to the surface to this day. Coimbra is in 190 feet of water lying on her port side. 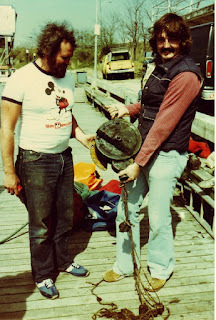 In 1981 Bill Nagle recovered the stern helm. A few years after Keith Wipprecht recovered the telegraph pictured below. Paul Whittaker holding 3 dogged porthole with George Hoffman 1996. Continent This small coastal freighter sank in a collision on January 10, 1942 with the tanker Byron Benson. 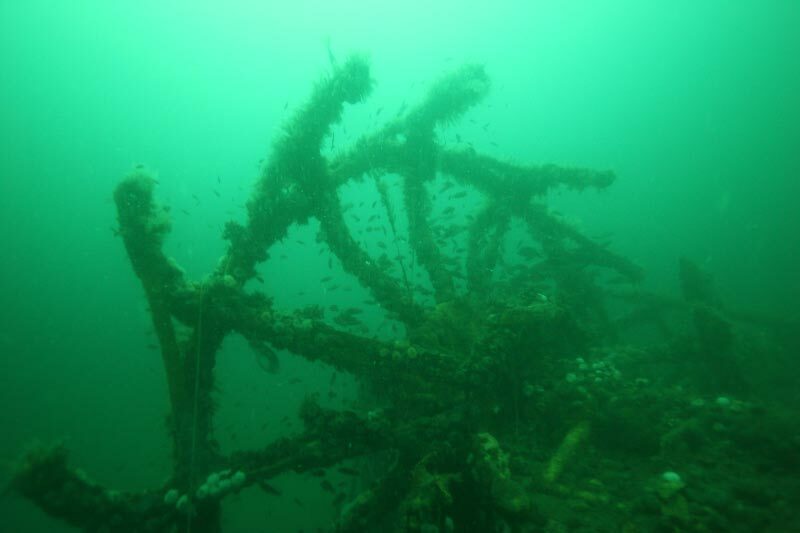 Only 149 feet in length, this obscure wooden wreck sit in 145 feet on a mud bottom. 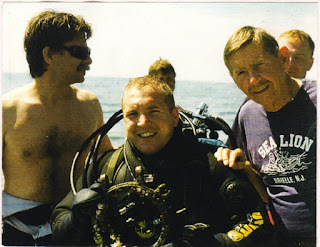 Atlantic Divers ventured to and was first to dive the wreck with George Hoffman in 1994. Few charters have been there since. Much more investigation is needed on this site.. The Delaware has a length of 250 feet and was powered by coil-fire steam. This wooden hull, passenger freighter was built in 1880. 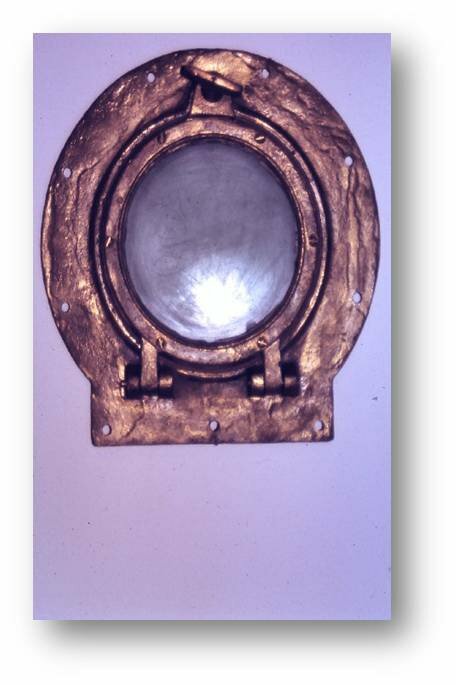 She sank in July 1898, when the ship caught fire. The Delaware was heading to Jacksonville Fl when the ship caught fire, said to be carrying ammunition for Admiral Sampson of the American Navy (at that time contracted out to the US Navy). The company denies carrying ammunition and none have been seen or recovered from the wreck in 70 feet of water. The Emerald is an unknown steamer at 80 feet. A great digging wreck, the Emerald was named by the late Capt. 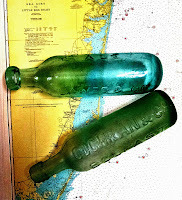 George Hoffman for it's emerald colored bottles and the green copper piping that littered the wreck when it was first dove. Recent crates we've uncovered has led to evidence that this may be the wreck of the Alexander Oldham, a coastal steamer lost on Dec. 31, 1873. 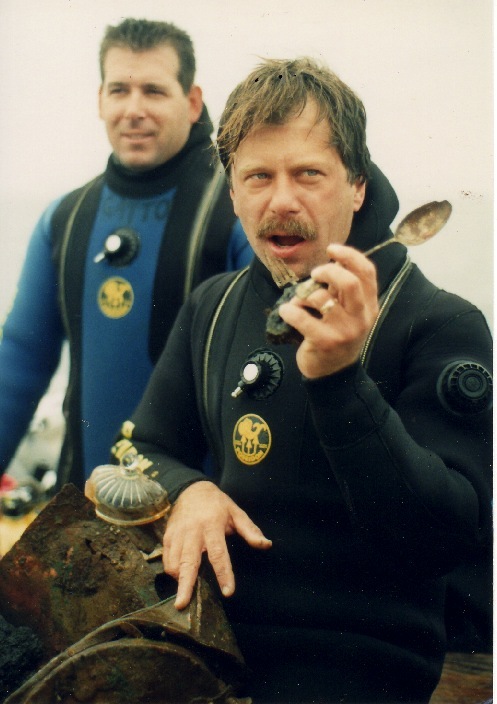 This wreck has many fantastic artifacts waiting to be found. Some of the items recovered so far have been bottles, china, silverware, beads, ink wells, bone toothbrushes, leather shoes, a clock and it's key, and even a small, unmarked dinner bell. 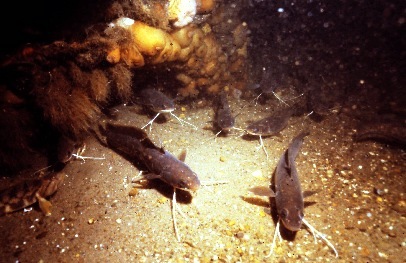 Above the sandy bottom lies four, almost buried boilers, the engine and twin prop shafts. The props are missing. Hibiscus, a 406-ton (burden) screw steamship built in 1864 at Fairhaven, Connecticut, was purchased by the Navy in November 1864 and placed in commission as USS Hibiscus in late December. She was assigned to the East Gulf Blockading Squadron, serving off western Florida during the final months of the Civil War. In August 1865 Hibiscus returned to New York for decommissioning. 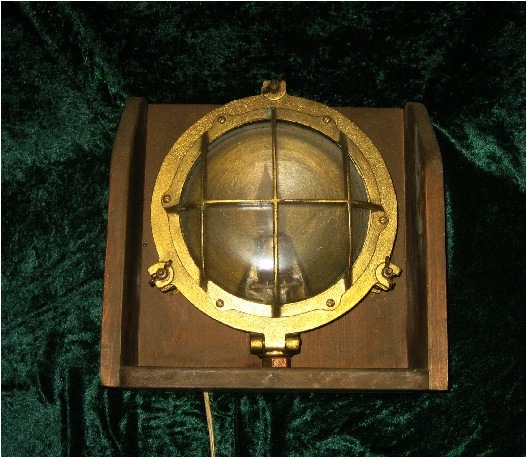 Sold in October 1866, she was subsequently employed as a merchant vessel, under the names Francis Wright and Hibiscus, until lost at sea on 1 May 1873. Marine Disaster - Sinking of the Steamer Frances Wright.The schooner John Kelso, Kelso, master, from Virginia, arrived in this port yesterday, having on board the Captain and crew of the steamer Frances Wright, which sunk at sea yesterday. Capt. 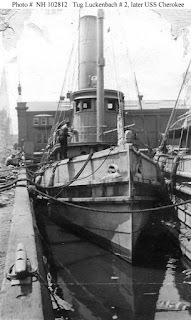 Fairchild, of the Frances Wright, reports that, on the 30th of April, at 11:35 P.M.. the shaft on the port engine broke in the stern stuffing box, carrying away sleeve dead wood, &c., in after part of the ship. 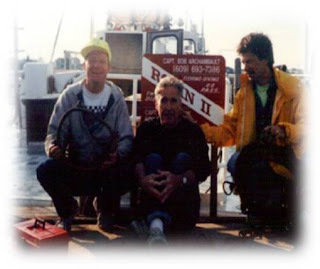 The vessel commenced to fill rapidly, and the engineer finding it impossible to stop the leak, shut off the sea injection, put on the bilge injection and donkey pumps. The mate and all hands were put on the forward pumps. 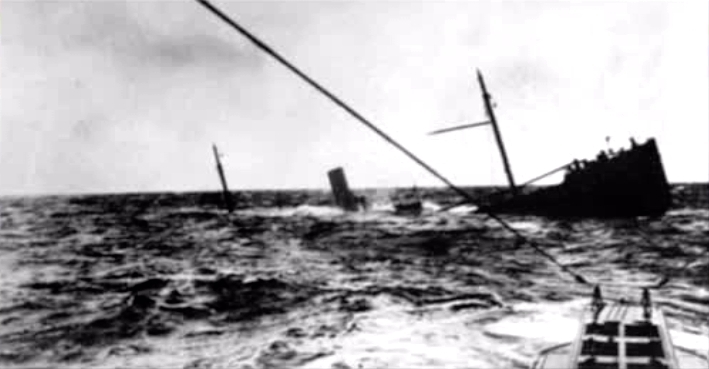 Notwithstanding the efforts of the crew, the water continued to gain rapidly, and the ship was fast sinking. 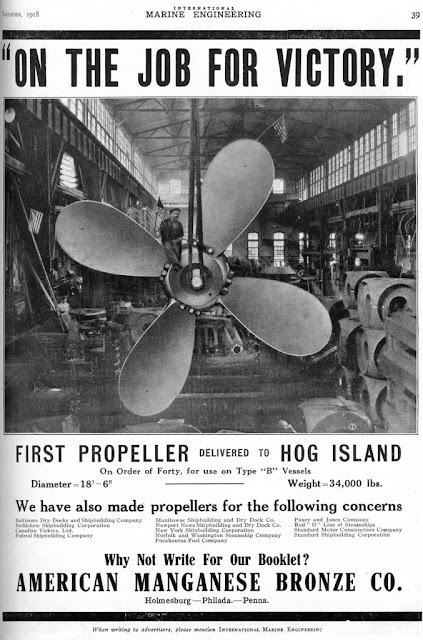 At 12-1/4 A.M. the water had risen above the floor of the engine room, and the fires were soon extinguished on the main boiler. The ship now lost all steerage way, and became unmanageable. A steamer hove in sight; her name was understood by Capt. Fairchild to be the Claribel. The Captain was asked to assist in towing the sinking vessel on shore; but he found it impossible to do anything for the doomed ship. 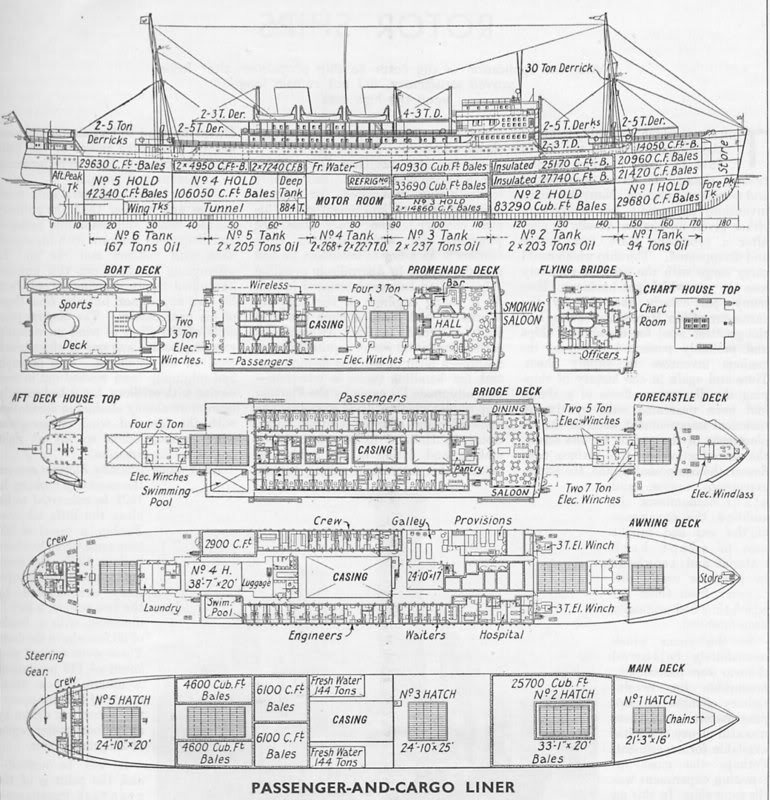 May 1, 1-1/2 A.M. - It now became unsafe to remain any longer on board, and accordingly orders were given to clear away and man the boats and abandon the ship. Between decks was now nearly filled with water. Having got all the crew on board, the boats put off, but stood by for some time. About twenty-five minutes after the boats put off the ship went down by the stern At daylight a schooner - the John Kelso - was sighted, and the boats pulled to her, when the crew were taken on board and kindly treated by Captain Kelso and by him brought to the port. The Frances Wright was built in 1865 at Fairhaven and was 597 tons. The Francis Perkins was a Pilot Boat that sunk in 1887 in 80 feet of water. It is mostly known as the January Wreck since it was first found and dove in January 1981 and is a traditionally dove during January. 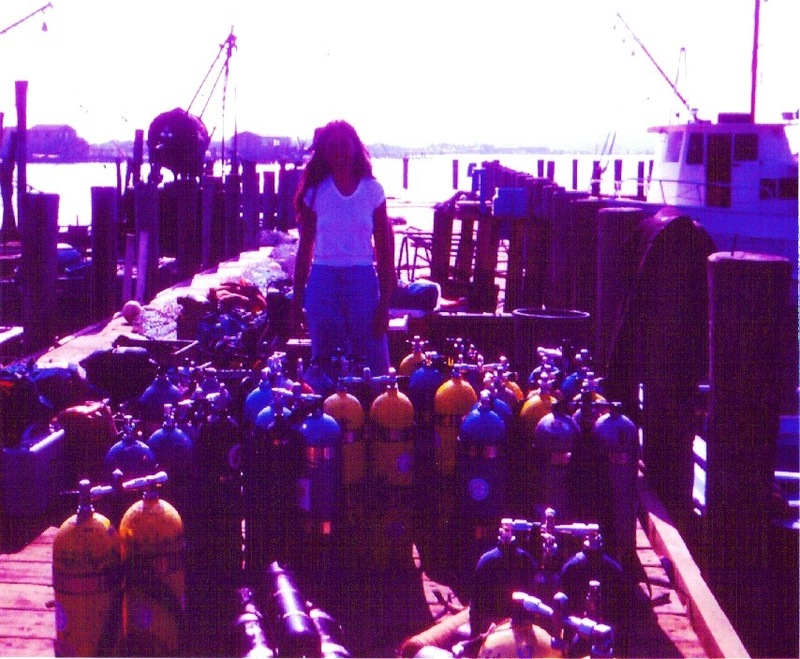 It is our first dive of every year. The January Wreck is a very low-lying wreck and, therefore, hard to locate since very little structure remains. Just a small wooden beam. It is a digging wreck, so bring your scooter! 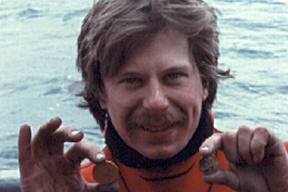 Gene Peterson, owner of Atlantic Divers, found gold coins on this wreck. 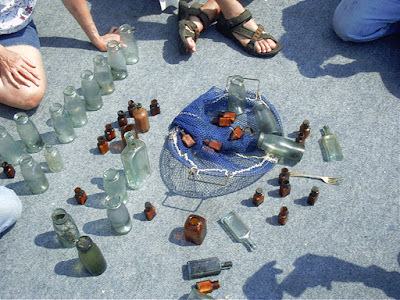 Other artifacts include china dishes, silverware, bottles, deadeyes, a cannon and portholes to name just a few. The Great Isaac was a large ocean-going tug that sank due to a collision in 1947. The Great Isaac sits in 90 feet of water and is intact lying on it's port (left) side. 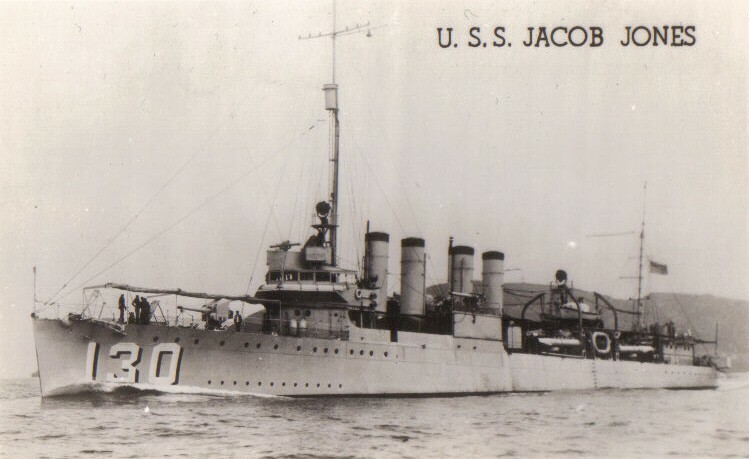 The Great Isaac was a part of the Normandy beach invasion and the captain at the time received a bronze start for meritorious duty under fire. It's sunk about half way into the sandy bottom and it's rapidly deteriorating. 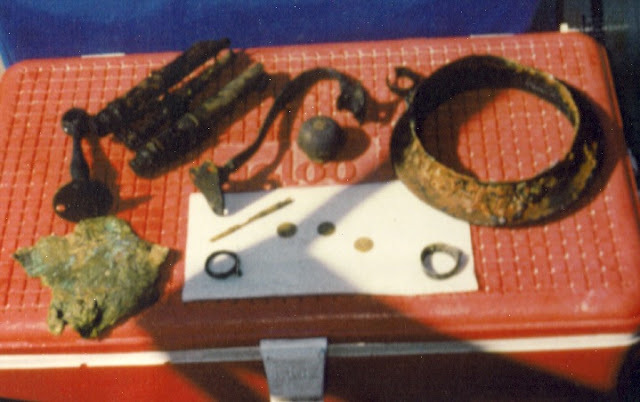 Artifacts are still abundant, since half the wreck is buried and washing out with more access areas. Everywhere there are lobster and fish. 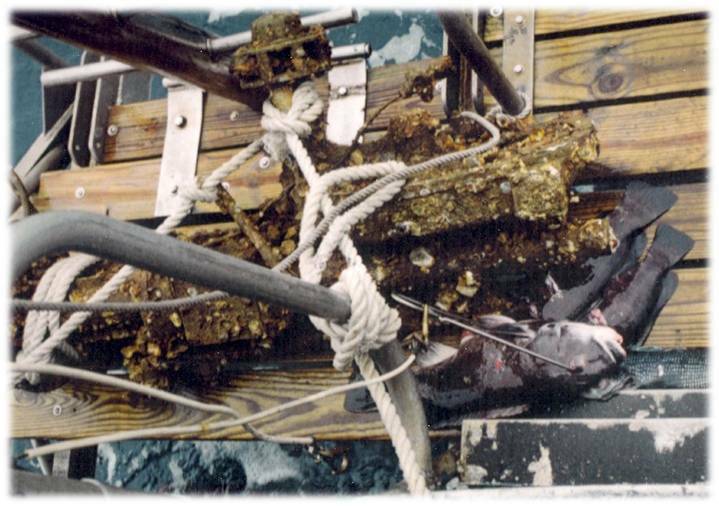 Mussels can be scraped from the upper parts of the wreck and are, therefore, cleaner with less sand in them. 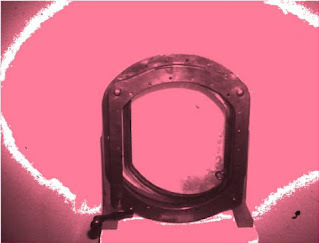 The Great Isaac now has many entrances into her inner compartments for divers with experience and training in wreck penetrations. This Gulf oil tanker was torpedoed on March 10, 1942 by the German Sub U-588. 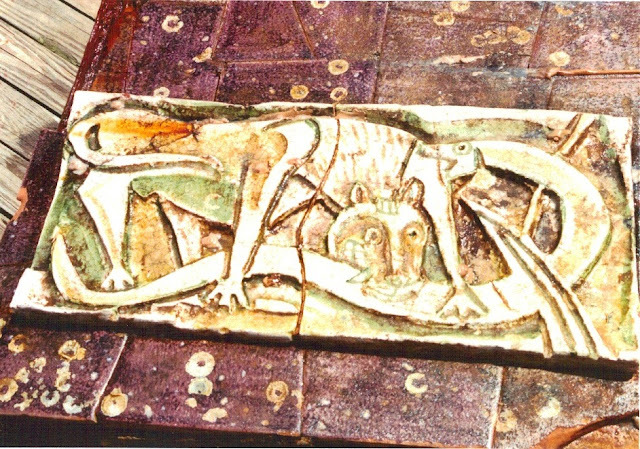 The wreck lies in two sections. The bow grounded after the attack and now lies in 60 feet of water 5 miles south east of Barnegat Light. This section was cleared to a depth of forty feet. 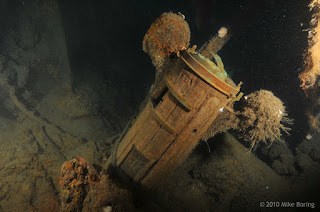 Here divers can find some boilers, parts and brass mechanisms scattered throughout the hull plates. A popular site for lobster and spear fisherman. Although it has been overlooked by artifact hunters, the wheelhouse was leveled and has been covered over by sand since its' sinking. 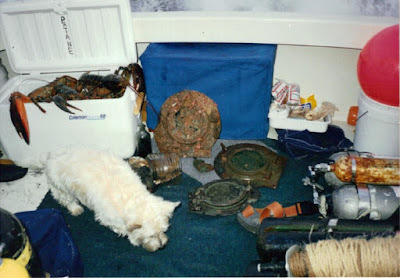 Divers have recovered china, gravy boats, cups, thermometers, .50 caliber bullets and several portholes here. 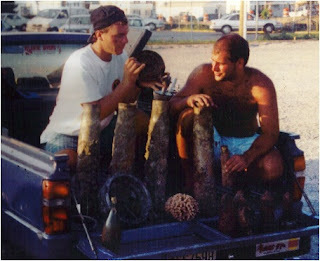 Divers should be aware that live hedgehog bombs dropped from blimps during the war are occasionally found at this site. Do not recover... 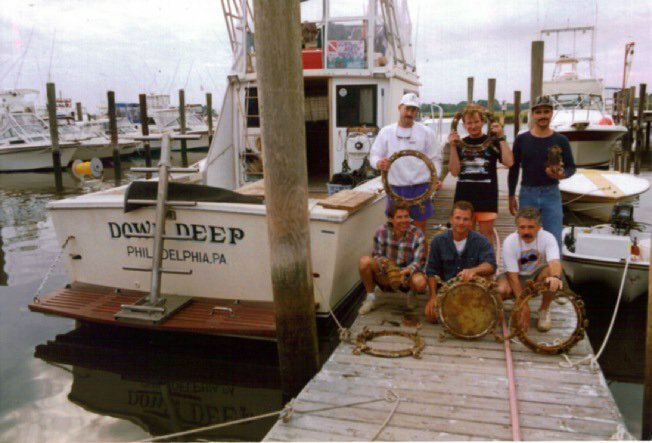 In the mid seventies a dragger net caught a large section of wreckage and here a large Sand Tiger shark got caught, died and hung in the netting. An eerie site to behold as novice divers dropped down the anchor line eyeing the shadowing shark swaying to and fro in the current. 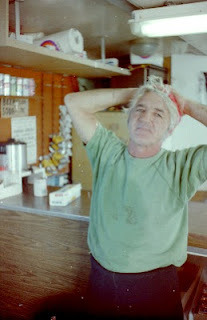 Gone soon after, but a haunting memory long embedded in many minds. 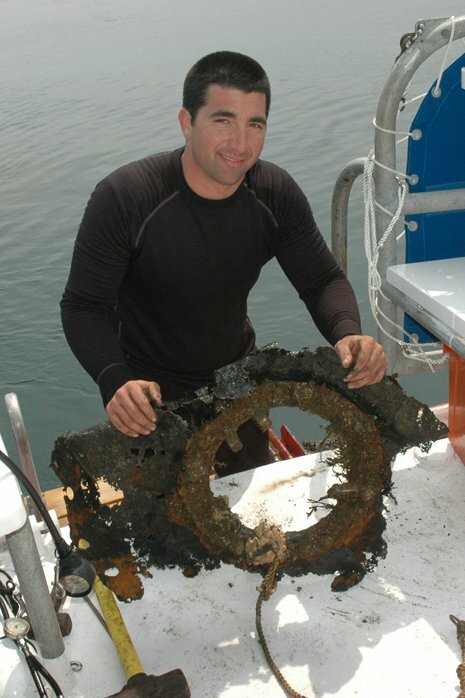 The stern section drifted 10 miles NNE from the bow and remains nearly intact and upright. 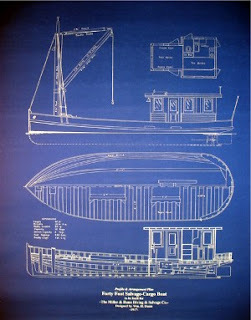 The stern deckhouse was wire-dragged off the top deck. It now lies scattered on the starboard side of the main hull section. Divers will find this section interesting because one can penetrate the large hull section with plenty of overhead light and escape routes. 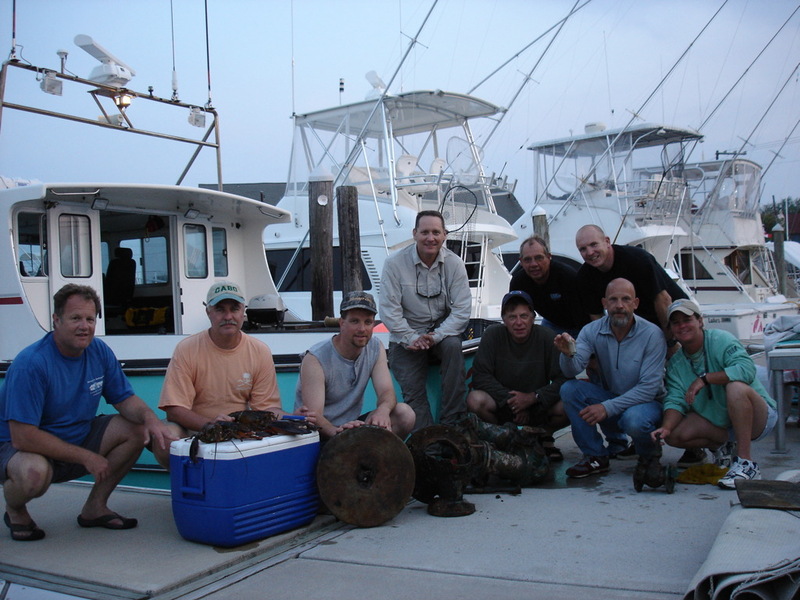 Lobster and all-mouth (Monk fish) are prevalent in the debris field. 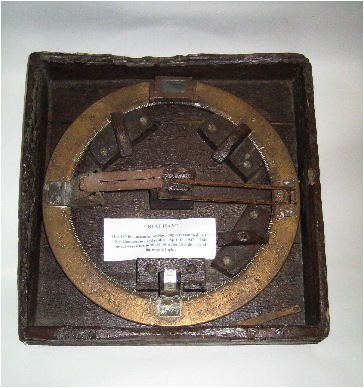 Artifact hunters can still find portholes buried in the sand near the port side as well an auxiliary steering gear mechanism in the far stern. 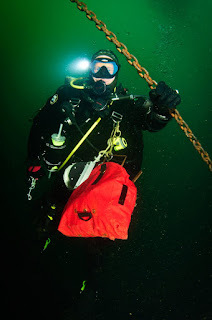 A fun dive with lots of relief to explore. Built in Brooklyn Navy Yard, the Huntsville burned and sank off Atlantic City in 1877. 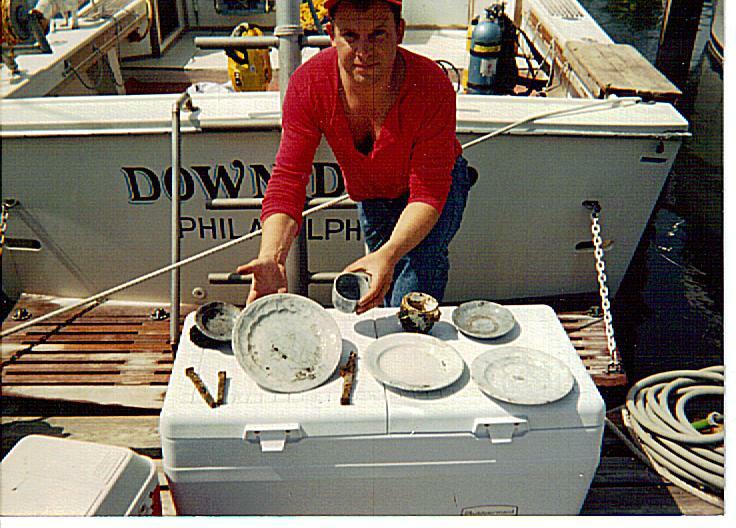 This single screw steamer produced some small, but significant recoveries soon after being discovered by Captain Ed Boyle and Allen Edmunds in the early eighties. 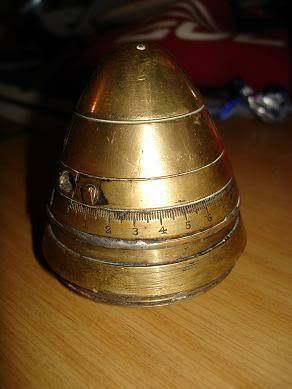 One such discovery in the mid nineties included a gold pocket watch with an inscription dating 1806. The wreck has been known as the Lang due to it's location, where a sea collision took place and the Yohanna Lang could have sank. Further research revealed that the Yohanna Lang was towed in and salvaged. More recently other nick names have included this as the Copper Wreck. 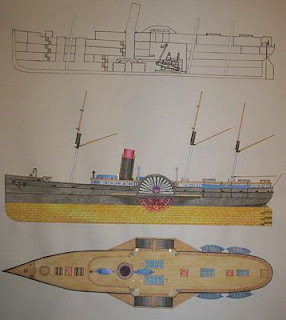 The Huntsville was a wooden vessel which burned to the waterline leaving little structure to explore except it's single piston steam engine and iron propeller. 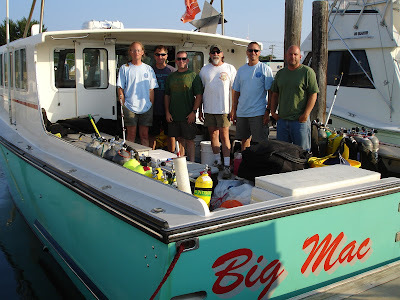 Today it's large engine overshadows the wreck and makes home for numerous lobsters and fish. Digging forward of the engine area one can uncover an intact wooden deck. Here gundeon pins and spikes have been recovered. 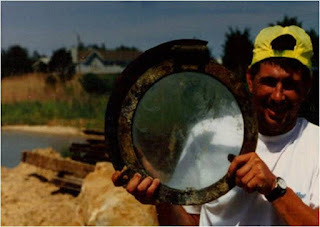 According to Gary Gentile, Captain David Pfeiffer of the Submission pieced together some clues and realized that he had been diving the site for decades. He presented a convincing description to Gentile after reading his newsletter that fitted the Huntsville and Gentile concurred. Today the wreck has more to offer, still buried in the sand. The Huntsville was an 840-ton (burden) wooden screw steamship. Launched at New York City in 1857 and she was subsequently employed commercially along the U.S. Atlantic Coast. After the American Civil War began in April 1861 she was chartered for U.S. Navy service and converted to a gunboat. Placed in commission as USS Huntsville in May, she was formally purchased in August, while serving in the Gulf of Mexico. 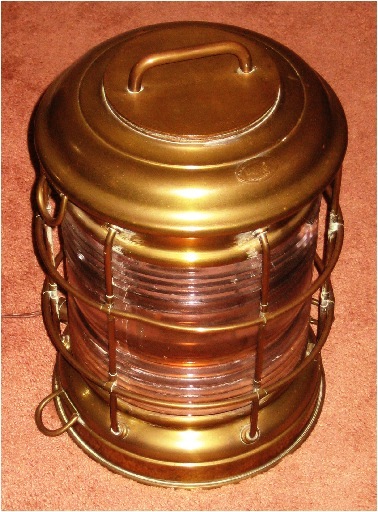 The steamer operated in the Gulf for the next three years. Her primary duty was enforcing the blockade of the Confederate coast,. She successfully captured over a dozen blockade runners.in 1863 and 64. 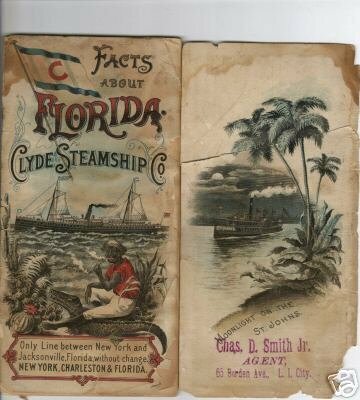 In the beginning of May 1864 the steamer supported troops ashore at Tampa Bay, Florida. While off Tampa her crew suffered greatly from yellow fever, so Huntsville was sent north in July and decommissioned in August. Recommissioned in late March 1865, Huntsville made transport voyages to New Orleans and Panama between early April and late June. She then carried passengers between New York and Boston and escorted a monitor to Philadelphia. 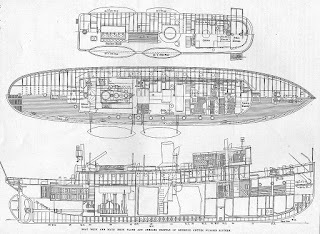 Following decommissioning in late August and sale at the end of November 1865, Huntsville resumed her commercial career, which lasted until she burned and sank off Atlantic City in December 1877. This 314 ft. long four-stack destroyer was torpedoed by the U-578 (Korvettenkapitan Rewinkel) on February 27, 1942. 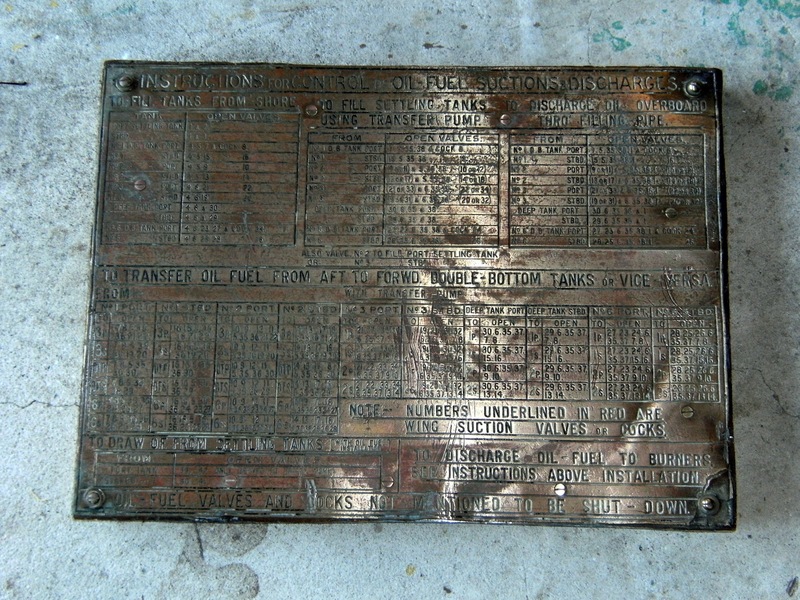 Ninety men perished from the attack which not only the explosion caused by the German torpedo, but also by the depth charge explosions from the destroyer's own devices erupting upon reaching the sea floor. Today, the mid-section remains one of the few contiguous sections. 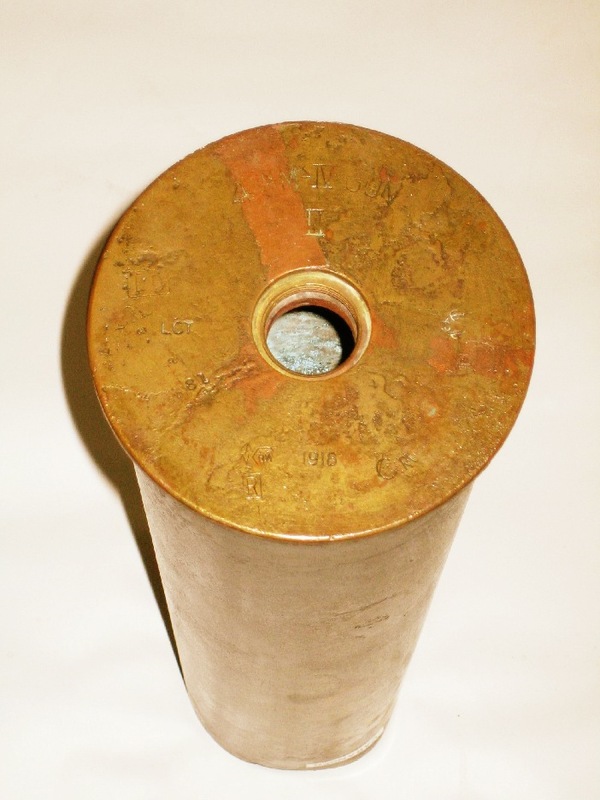 Here divers can still see 3 inch brass casings crushed by the pressure at the 110 ft. depth. 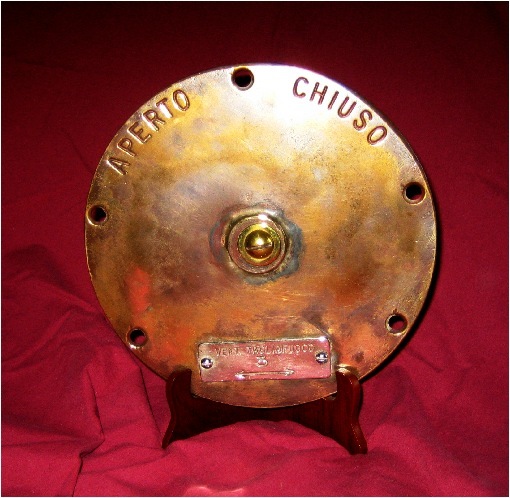 Many valve wheels and brass machinery parts are intermixed throughout the hull. The bridge section is a small piece lying SE of the main wreckage and is rarely visited. This section has large lobsters but only the main helm stand is left, buried in the sand. Many other small pieces are great distances from the mid-section. This is now a protected U. S. Navy wrecksite. Artifact recovery is prohibited. Joseph Paul Tidwell, age 93, of Jacksonville, Florida passed away peacefully Sunday evening, March 3, 2013 at home surrounded by his family. Divers should be aware that a few depth charges remain near the stern section, a torpedo with a small brass propeller sticks out from under a hull piece and much live ordinance remains. DO NOT DISTURB OR RECOVER THESE! The freighter was built in 1918 and has a length of 251 feet. In July 1920, the Lake Frampton sank to 70 feet due to a collision with the SS Comus. This large 437 foot coal carrier (collier) was torpedoed while en route to New York then to Boston. The German sub U-404, (Otto von Bülow) sighted the silhouette of the hull in the bright lights of Atlantic City. 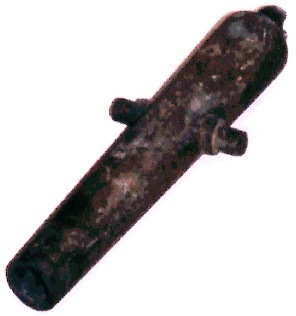 Firing three torpedoes ensured the sinking. The sub hung out after the sinking to question survivors. The blast was so terrific windows in the Haddon Hall Hotel shattered from the doomed collier's explosion, which was struck only a few miles away. 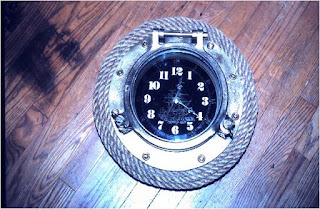 Only eight crew members out of 28 survived the blast and the cold night clinging to lifeboats before being picked up. 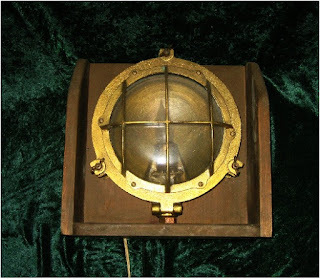 One of those rescued died in the Mariners hospital shortly there after. 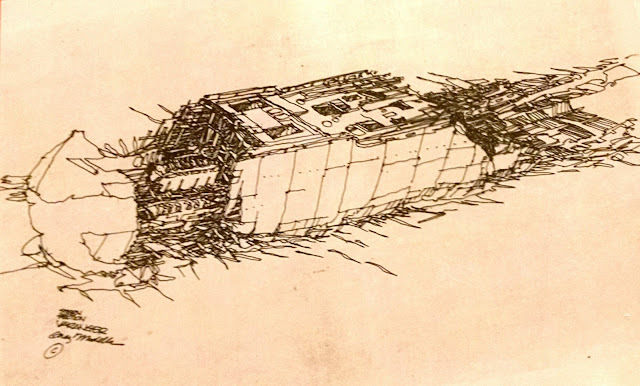 Today the Lemuel Burrows remains one of the largest vessels sunk off the coast. 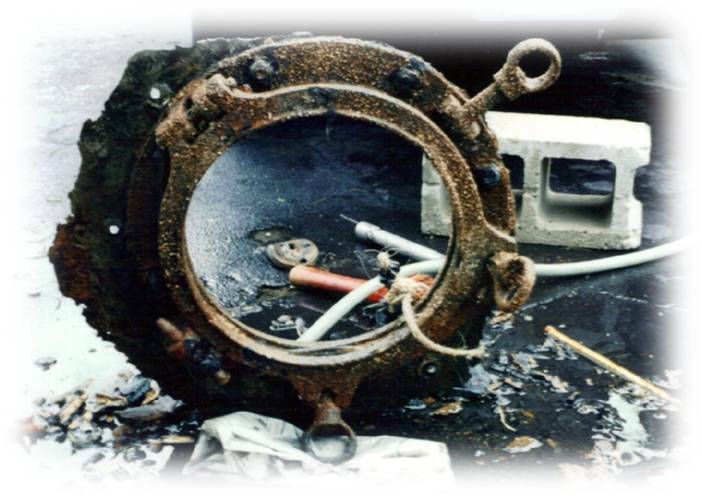 The bow section rises off the sand forming a passage way where divers can follow anchor winch back to a higher relief area where engine parts, boilers and gigantic machinery creates holes to explore. Much destruction from the torpedoes is evident, but the vastness of this wreck allows great traversing over hull plates and recognizable structure in the stern. The shaft alley runs the length of the stern allowing easy navigation. In the late eighties Atlantic Divers recovered the brass letters positively identifying the wreck. tug Nina shortly afterwards. This site remained undisturbed for nearly eighty years. The remains of two other paddlewheelers remain close to this area where the Florida sank. Another very small possible paddle wheeler locally known as the Muddigger is just southeast of the presumed Florida and Mason's Paddlewheeler, a well known site has yet to be positively identified. 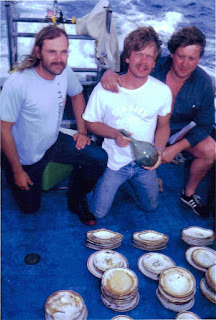 In the early seventies the wreck was discovered by a local fisherman and the loran co-ordinate was sold for $25 dollars to a local party boat. Hence it's original name, the $25 Dollar Wreck. Mason's Paddle Wheeler to stimulate more exploration of the site. Soon it became a popular dive and much discovery continued. A diver recovered a large brass steam vent with a thermometer enclosed. that time and numerous copper pipe lay ambiguously in the debris. marine life. More needs to be uncovered to verify it's identity. Recently NOAA released this report after doing a dive on the site. This information has recently been released to the public. 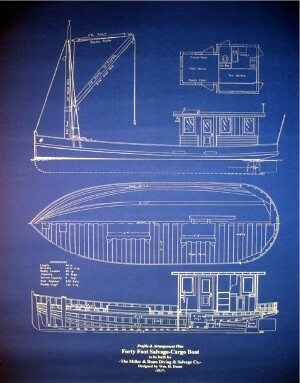 This collier type vessel was built in 1916, and has a length of 253 feet. In June 1944, the Maurice Tracey collided with Jesse Billingsley, traveling south from New York to Norfolk VA with coal. On the bottom the wreck was a serious navigation hazard and now lies flattened on the bottom in 70 feet of water. 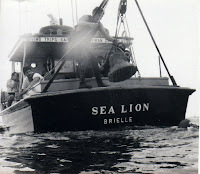 Read about the: Bell dive on the Maurice Tracy. This steamer was discovered by Atlantic Divers in 1989 on the dive boat Down Deep. The wreck was named after Captain Bob Meimbresse's dog that was on board that day. 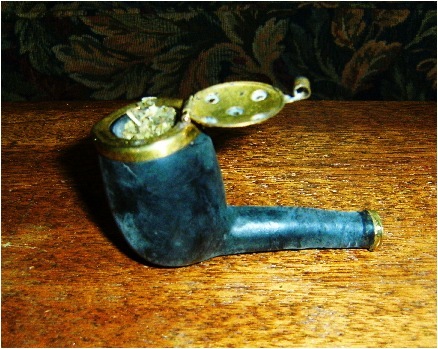 It has recently been identified as the Montgomery. In 2008 Gene Peterson and Harold Moyers on the dive boat Big Mac recovered a bilge pump which positively identifying the site. 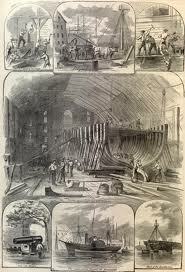 The Montgomery was a 787-ton (burden) wooden screw steamship, built in New York City in 1858. She was chartered by the Navy in May 1861, soon after the outbreak of the Civil War, and placed in commission as USS Montgomery. The Navy purchased her in August. During June-November 1861, she served in the Gulf of Mexico, enforcing the blockade of western Florida. Later in the year, Montgomery was shifted to the northern Gulf coast. On 4 December 1861, in Mississippi Sound, she engaged the Confederate steamers Florida and Pamlico. Remaining in the Gulf, during 1862 Montgomery captured or destroyed a half-dozen blockade runners, mainly sailing vessels. 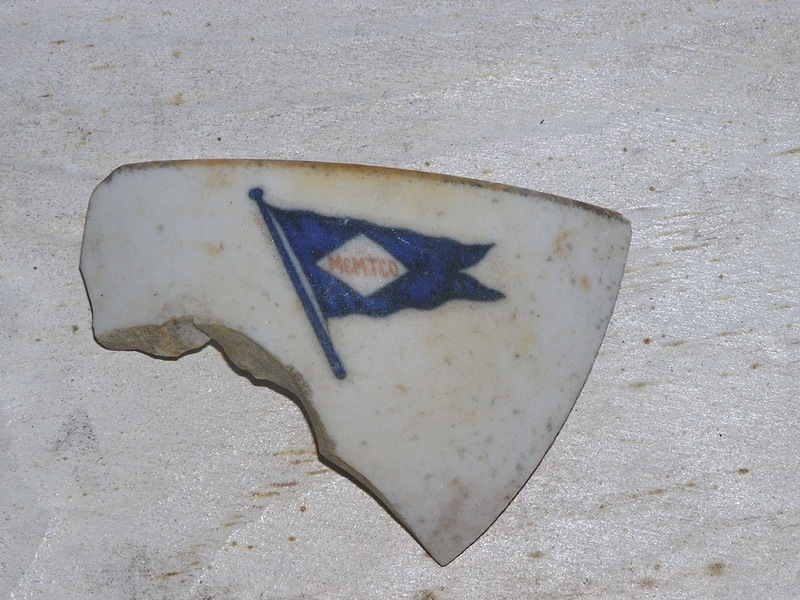 Following her return to the Atlantic in 1863, she took part in the search for the Confederate raider Tacony in June. Later assigned to the North Atlantic Blockading Squadron, in January 1864 she helped to destroy the blockade runners Bendigo and Dare. The next month, Montgomery captured the steamer Pet and in October took the Bat. She also participated in the two assaults on Fort Fisher, North Carolina, during December 1864 and January 1865, operations that finally eliminated the nearby city of Wilmington as a blockade running port. For the remainder of the Civil War, Montgomery served along the Carolina coast and participated in operations in North Carolina's Cape Fear River. Decommissioned in June 1865 and sold in August, Montgomery retained her name when she reentered commercial service in 1866. She was active for nearly eleven more years, until she was sunk due to a collision with schooner Seminole on January 7, 1877 off Cape May, New Jersey. Rosita Ebanks Shields was nine years old when her father Willard Ebanks, the ship's carpenter failed to return from the fateful voyage of the S.S. Miraflores. 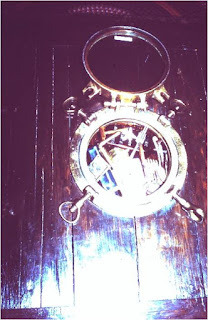 Rosita remembers frequent trips with her father to the docks. 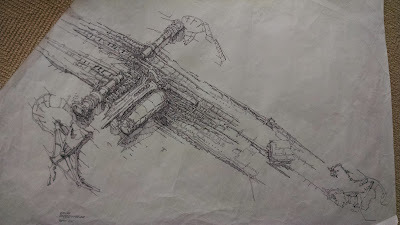 There she meandered through the ship, climbed the narrow ladders down to the massive engine room and ascending back up to the deck watching the crew unload, pack and maintain the ship. She remembered her father's ship departing for it's fatal voyage and the hardships her mother, older brother and younger sister faced when the S.S.Miraflores never returned. Months passed without any word on the demise of the ship. No information on the sinking was ever known to her mother. The ship just disappeared without a trace. 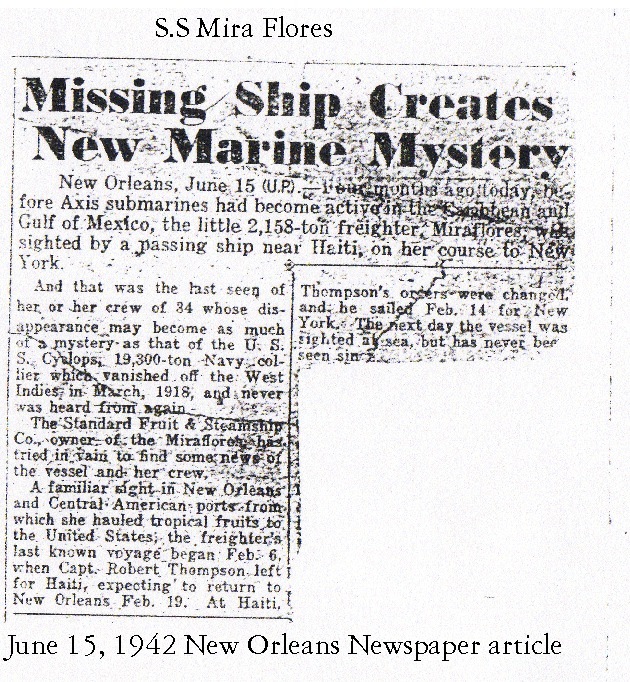 It was not accounted for until the S.S. Miraflores was positively identified in 2008 over 66 years after Rosita watched her dad go to sea. Her mother and father had a restaurant next to the Banana Inn close to the ship docks in downtown New Orleans. There she passed time in the kitchen assisting her mother as they waited for a word on her dad's possible return. She reminisced that a patron would beep his car horn and give rides in his sports car to her family and siblings. They would climb in the coup's rumble seat and take short jaunts up and down the streets of New Orleans. One day rushing to get a ride, she accidently burned her leg by knocking over hot French fries oil in the restaurants kitchen. She has a scar to this day. 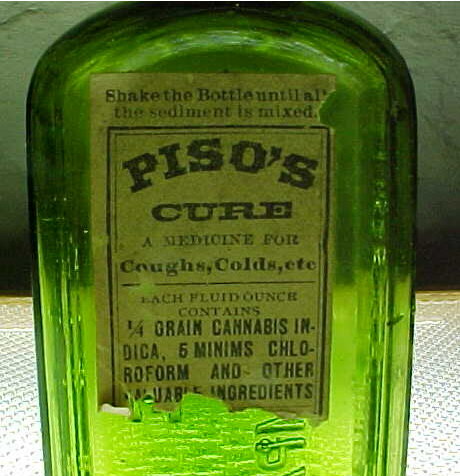 She got a ride she recalls, but it was to the local druggist for burn ointment. Soon weeks, then months passed and still there were no reports on the missing ship and crew. Shortly there after her younger sister entered children's hospital with a leaky heart valve. There her sister would tell her mom that her daddy would visit each day. Sadly her sister soon became weaker and passed away. Rosita believes she missed her father so badly that she envisioned him calling her to join him. Her mother continued on. Before and after the ship's disappearance she worked with the U.S. Immigration Department in New Orleans, assisting the crew with their paperwork, offering them a land based home and providing piles of chicken and pork chop dinners to the hungry Honduran crews. Life went on Rosita grew up, became a secretary for a local hotel, then married, all with out her father and no knowledge of his final fate. Today, Rosita is 76 years young, the mother of four sons, two daughters, she has two grand children and still resides in New Orleans. Last year at Christmas as her family gathered by her side, her son David presented her with a special gift she that cherishes, a glass box with a wooden frame. Inside is a piece of wood decking recovered from the S.S. Miraflores and a picture of her daddy. Each morning she speaks to her father as she looks at the piece of wooden deck he once walked and worked on. War and the sacrifice of those families affected by lost loved ones cannot be measured, only multiplied over time. Built in 1926 and sank in a collision on January 25, 1935 with the Norwegian freighter Talisman. 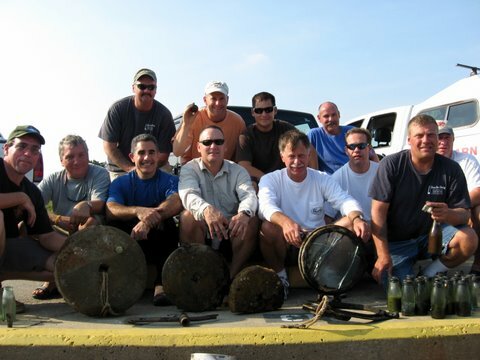 There were 45 casualties, Today it is one of the most frequented dive destinations for Manasquan Inlet dive operators. Numerous discoveries of china, silverware, bottles, salt shakers and assorted hardware continue to be found. 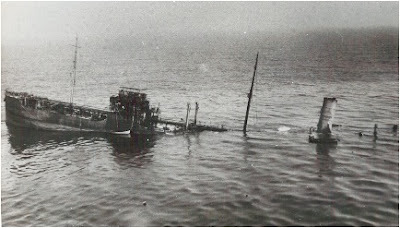 This converted sub chaser was sank while patrolling off Cape May, New Jersey, due to a collision with the US Destroyer Greer on October 15, 1942. 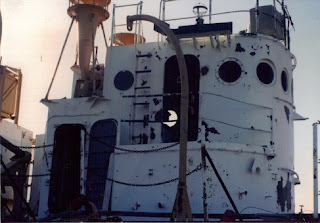 This once luxurious private yacht was well outfitted with a 3-inch deck gun that still sits in place on the bow. Much of the hull has collapsed, pancaking the decks below. The intact hull leans to the port side. Teak decks are in fair condition after nearly 60 years. 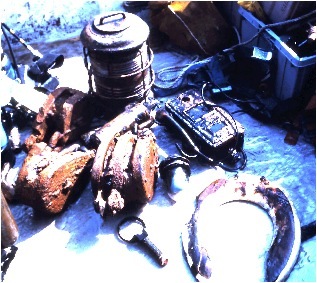 Divers can find artifacts including personal crew items by digging in the sand aft of the collapsed wheelhouse. Divers beware: What remains of the depth charges still lie in racks in place on the stern. DO NOT DISTURB OR RECOVER THESE! Visibility is usually excellent on this wreck and the depth, 125 feet, makes a good choice for advanced wreck divers. On.February 8, 1922, the Northern Pacific caught fire, burned and rolled over sinking 30 miles south of Cape May. Used as a troopship during World War I for over a dozen Atlantic crossings it was first dived in the late sixties by John Dudas, the Northern Pacific sits turtle in 150 feet of water. 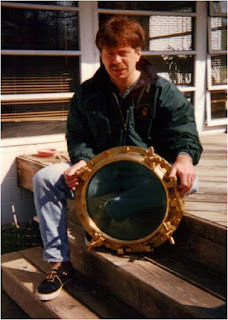 In the mid-seventies Danny Bresette recovered a propellor hub with ship's name positively identifying the site. This massive wreck yields numerous portholes and today is starting to bust open near the bow and midships. 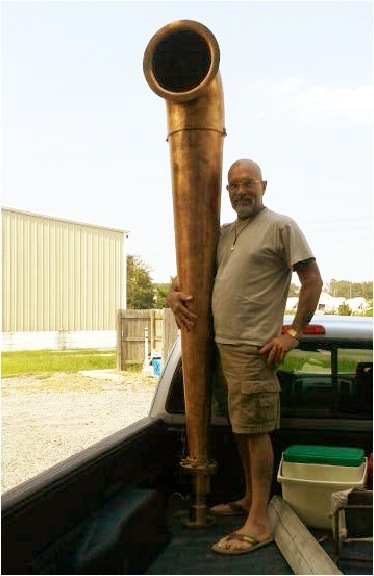 Rus Bergeron and Barb Mortensen recovered a large 8 foot fog horn in the mid nineties from the forward stack which can be seen at Atlantic Divers. New areas of disintegration have recently allowed further access into the interior of the passenger liner. Portholes will soon be overlooked for far more rewarding discoveries. The Vessel was built in 1920, and sunk February 1939. 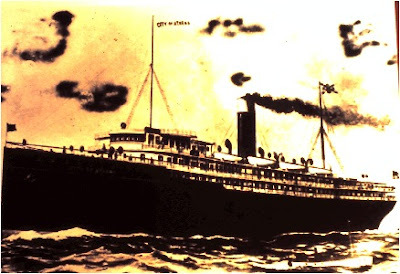 The Northern Lillian sank due to the collision with SS Wiegand in dense fog at night, carrying sugar from Puerto Rico to NY. The Lillian struck the vessels starboard side at 33 degrees. It lays on the bottom at 150 feet like pick up sticks and has to boilers that are very identifiable. 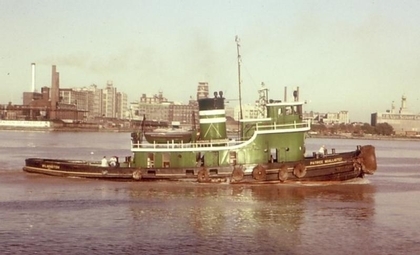 This tug was built in 1919 by Johnson Iron Works of New Orleans, Louisiana . She was originally named the Degrey for the United States Shipping Board. 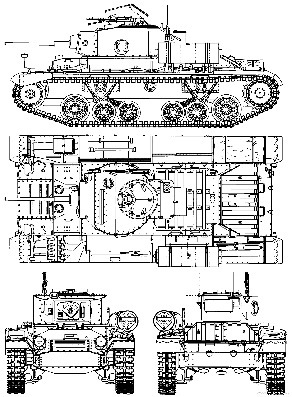 Then renamed the Major Frazer and later as the M & J Tracy. When the tug was purchased by McAllister Brothers INC. she was renamed once more as the Patrice McAllister. On October 4, 1976, the Patrice McAllister was in tow by the tug Judith McAllister bound for Jersey City, New Jersey, where the Patrice was due for an engine overhaul. Unfortunately, the tug sank just north of Atlantic City in a storm. 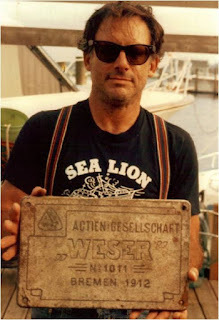 The Captain of the Judith McAllister , was still attached to the wreck by his towing line. He stayed directly over her until the Coast Guard was able to buoy the location. 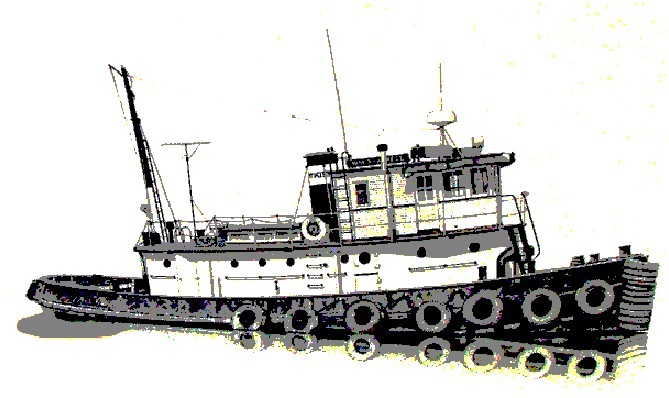 The tug lies in 45 feet of water and is frequently dived. Torpedoed by the German sub U-593 on May 25, 1942 in shallow water off Barnegate Light, this Panamanian tanker was partially salvaged, but much remains of the stern section. 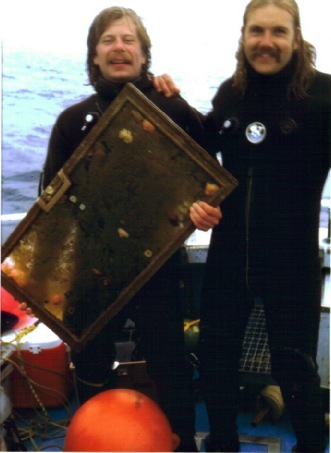 This wreckage is broken up over a large area leaving many homes for lobster and other unique marine life. Good visibility prevails in the late summer when the warm Gulf stream waters are pushed into the coast. 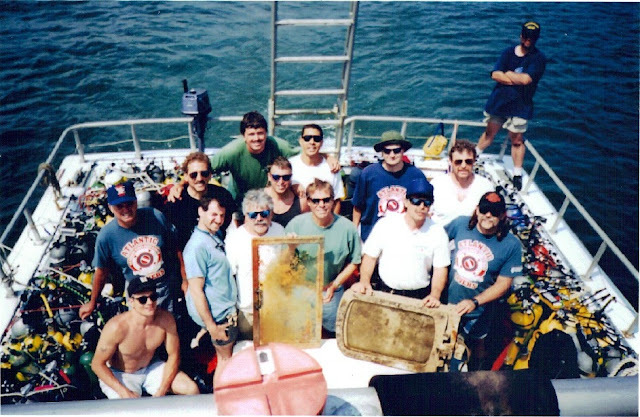 A dive well worth the effort with a vast area of wreckage left to explore. Numerous portholes continue to be discovered here. 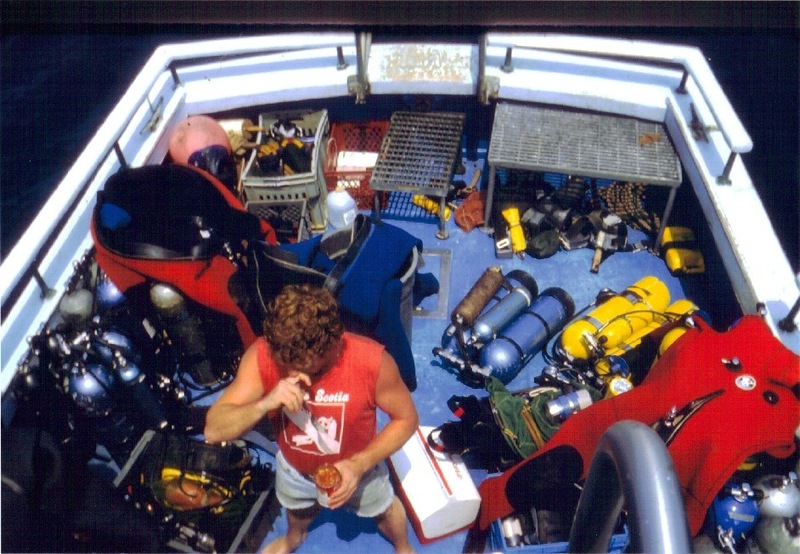 Divers will find it an exciting shallow water diving adventure to the stern of the Persephone. The Panamanian tanker was torpedoed just a few miles outside Barnegate Light inlet. Ironically, the Persephone was built in Germany in 1926 and destroyed by the German sub U-593 on May 25, 1942. 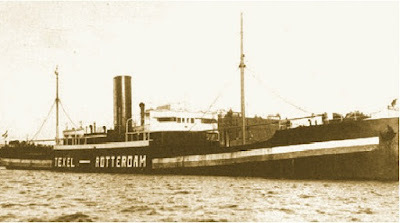 This American Cargo Steamer of 1,909 tons was built in 1914 by Dunlop-Bremner & Co, Port Glasgow, for N. V. Koninklijke Nederlandsche Stmbt Maats in Amsterdam. 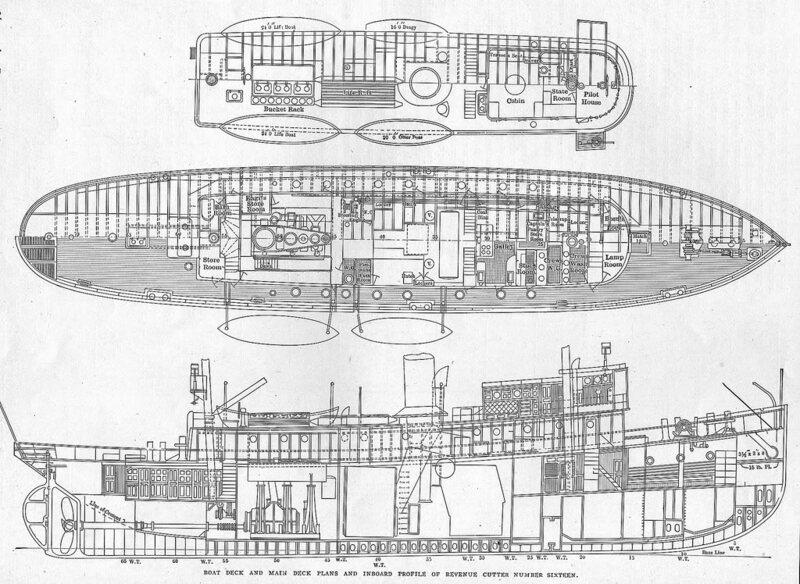 The Poseidon was powered by a steam, triple expansion engine, single screw giving 10.5 knots. In 1918 she was requisitioned by the US Government. 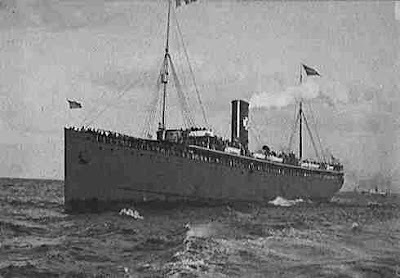 On the 31st July 1918 she sank after a collision with the SS SOMERSET five miles NNE of Five Fathom Bank LV on passage from Boston for Norfolk, Virginia. This wreck is also known as the Little Oiler and has also been nick named the Steel Wreck. A good lobster wreck in 90 feet of water makes her an interesting and fun dive. Most everything found so far on the wreck has been steel including portholes which indicates she may have been salvaged after sinking. 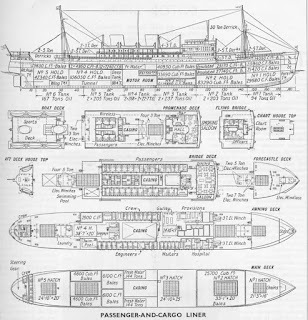 The highest section is the boilers although much of the wreck is buried. The rudder and the blades of the steel propeller sticks up off the muddy bottom. 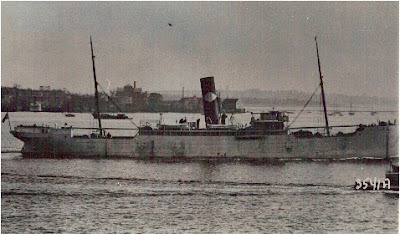 The Revenue Cutter Mohawk sank on October 1, 1917 due to a collision with the British tanker S.S. Vennacher, while on patrol off Sandy Hook, NJ. 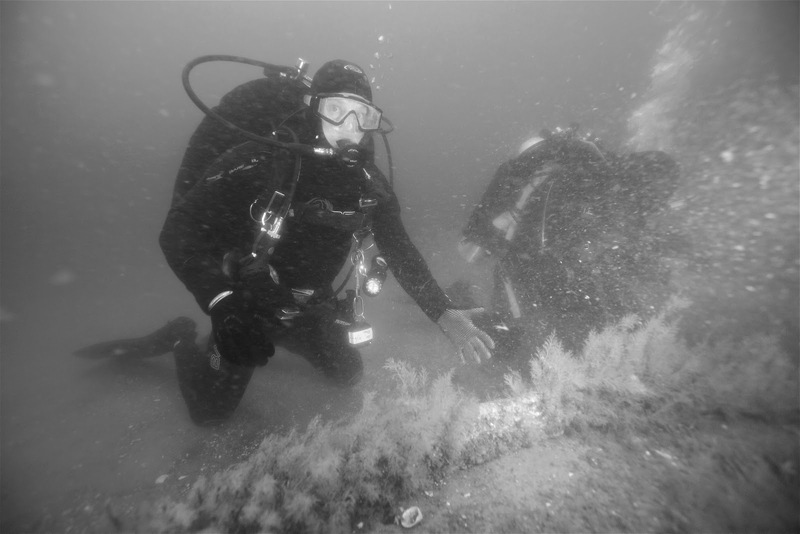 Good visibility is now common on this exciting wreck loaded with marine hardware and china. The china has the U.S. Revenue Cutter Service embossed mark. 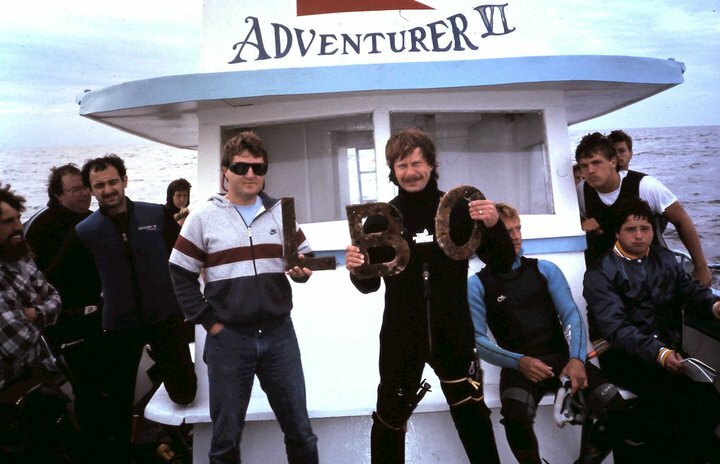 Discovered by Captain, Ed Boyle, the remains of this old schooner have produced a bell, a large pump, numerous dead eyes and large lobster through out the red brick reef. A massive cargo of bricks form a large mound rising over ten feet above the surrounding sand bottom. This mound extends for over one hundred feet. 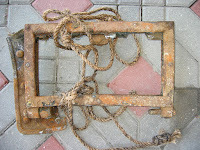 Large pieces of hull, rigging and anchors are buried beneath the bricks. The brick paved topography makes this an interesting dive. R. P. Resor was torpedoed February 27, 1942 by the German sub U-578 (Rewinkel). This 445 foot oil tanker burned for two days before sinking in 125 feet of water 30 miles east of Barnegat Light. By far, the most spectacular wreck off the coast for advanced divers. This humongous tanker was torpedoed and burned for two days before sinking. 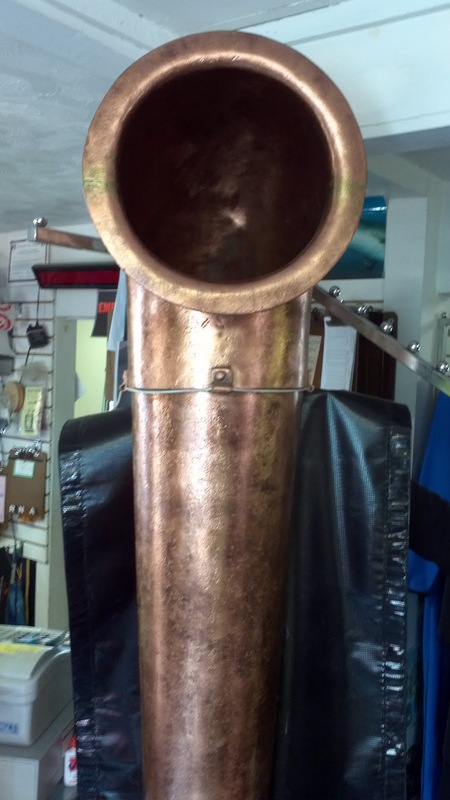 Divers can visit the 6-inch foyer deck gun at the stern or search the bridge and bow for lobsters and artifacts. Large lobster prowl the corridors and cod fish slumber below the hull plates. Built in 1904, this coal-fired steamer sank on January 17, 1942 due to the collision with the SS Santa Elisa. The wreck now lies in 110 foot of water. 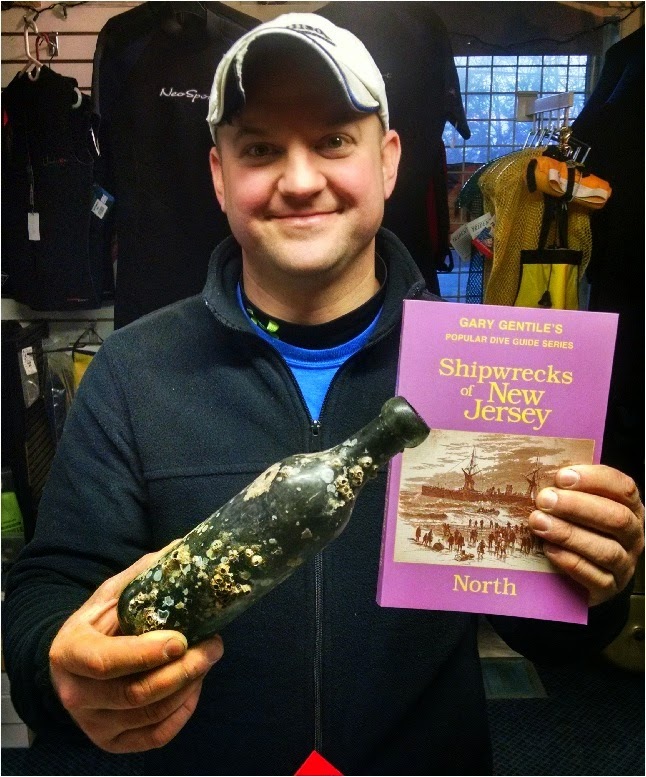 Check Gary Gentiles Shipwrecks of New Jersey (south) for the story of it's sinking and also being a torpedo victim. The German sub Korvettenkapitan Reinhard Hardegen of the U-123, claimed the sinking in his log book. A large intact wreck remains. 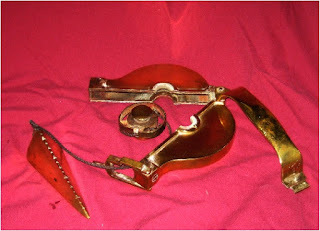 The bow section is busted open on the port side. Here a cargo of tropical lumber remains bridled to the hull. 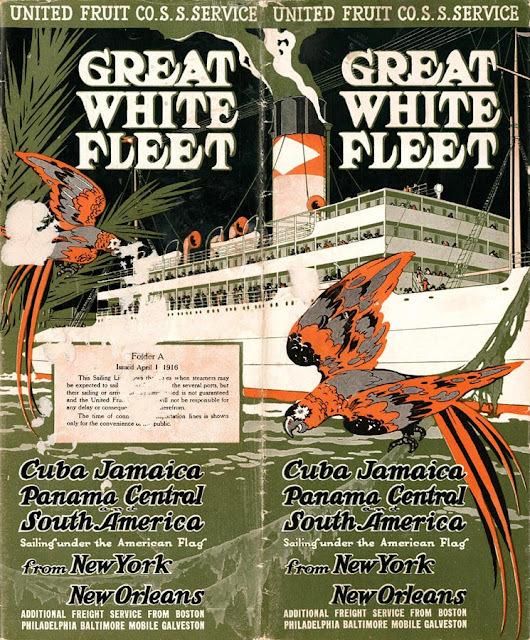 San Jose was a United Fruit ship, as was the Almirante and Miraflores also sunk off the southern New Jersey coast. This freighter was built 1879, powered by coal-fired steam. She was sunk on October 1918, while heading south from New York to Florida. The San Saba was carrying general cargo for the US Railroad administration when it struck a mine off the New Jersey coast. The mine was set by the German U-boat U-117. The bow section is known as the Magnolia, where magnolia ingots are occasionally uncovered by sifting sands. 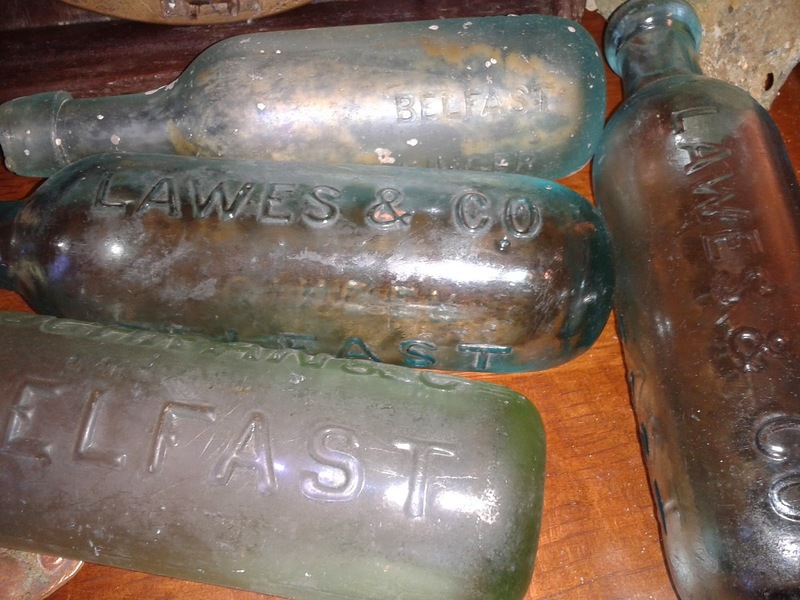 This is an excellent digging wreck and numerous bottles, spoons, dishes, bullets, screws and assorted oddities are recovered. was a 582 foot Norwegian tanker, rammed by the Israeli luxury liner S.S. Shalom on November, 26, 1964. Only the stern half of the ship went to the bottom. The rest was towed into port. (There, they welded on a new stern and she continues to be in service today!) Now, the stern section lies in 130 feet of water, about 18 miles East of Point Pleasant. The remaining wreckage rises to a shallow 70 feet. 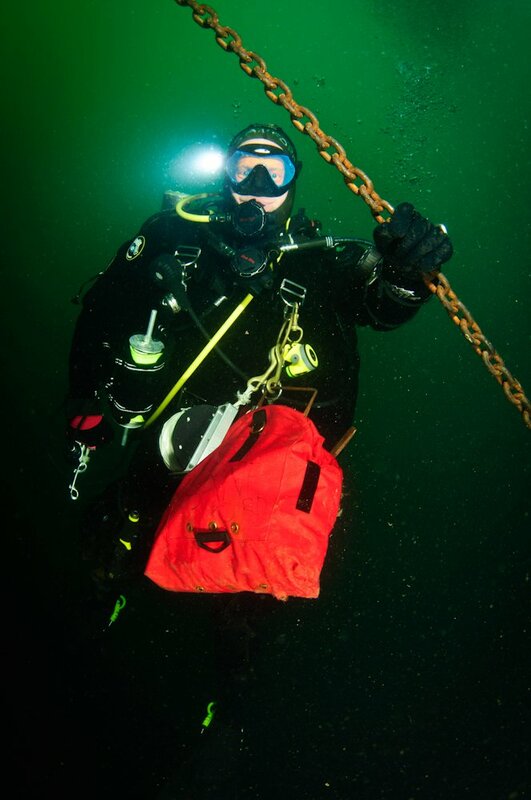 Great visibility and the gigantic features of the Stolt make it a spectacular dive for all levels. This 331 foot vessel was built in 1913. 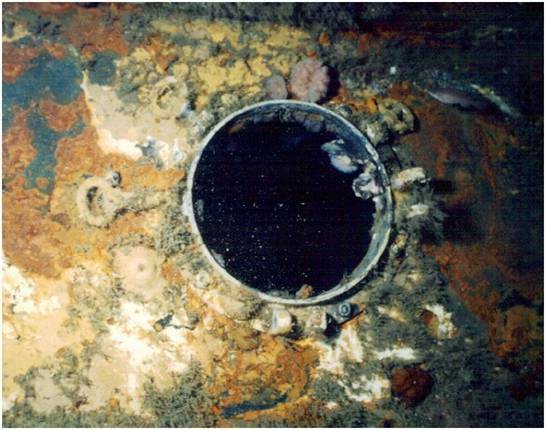 The wreck lies in 220 feet of water due to the bombs placed by the U-151, part of the Black Sunday sinking's. The wreck was first dived and discovered by Atlantic Divers. 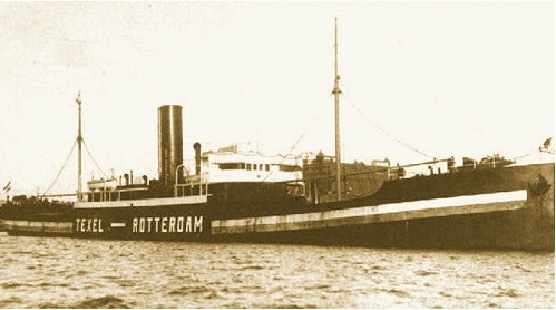 The Tolten was built in 1938, with a 280 foot length. 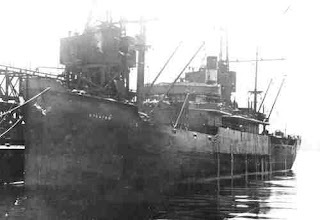 This Chilean freighter, was a neutral ship during the war, but when unloading in the US.the Tolten was required to follow US Navy guidelines of running with the lights blacked out. On Friday March 13, 1942 bad luck struck; the Tolten was torpedoed by U-404. 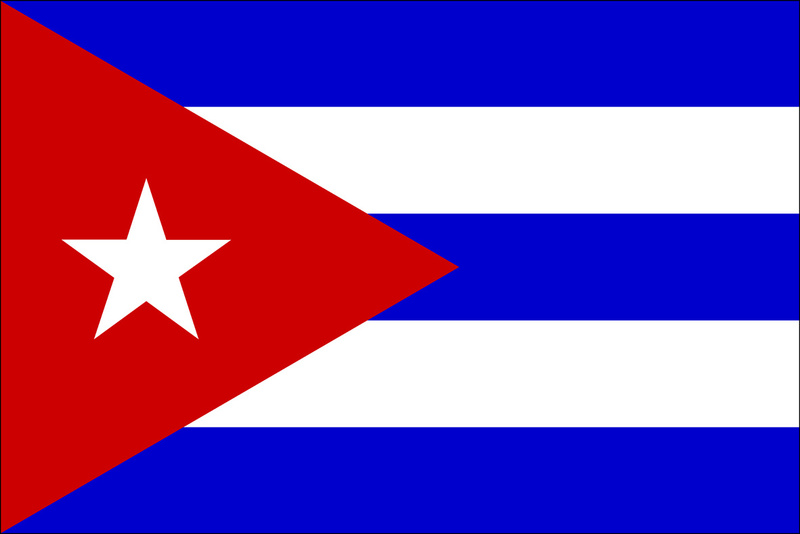 There were twenty-seven casualties which caused the neutral country to protest and join allied support. 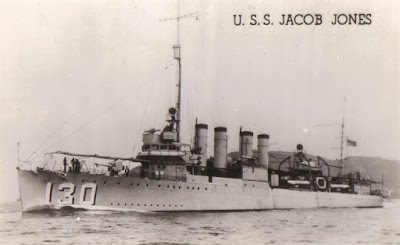 Had the freighter not been blacked out as requested by the Navy while cruising the American coast, the u-boat commander Otto von Bullow may not have fired on the clearly marked ship bearing the Chilean flag. Today the contiguous wreckage can be navigated from the stern to the bow. 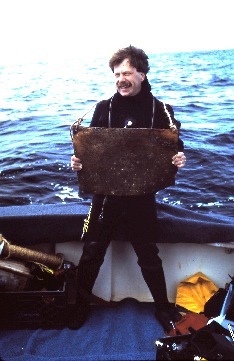 The auxiliary helm broke from the stern in a storm in the early nineties and remains in the sand off this large intact section. 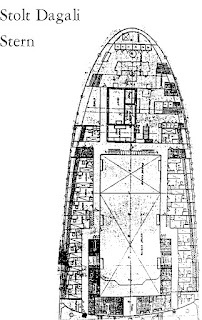 From the break, the lower hull leads to the bow and is tilted to the starboard. Off in the sand the wheelhouse lies only about forty feet from the mid-section. Continue on from here to the higher bow section. The starboard side remains a good area to search for artifacts. 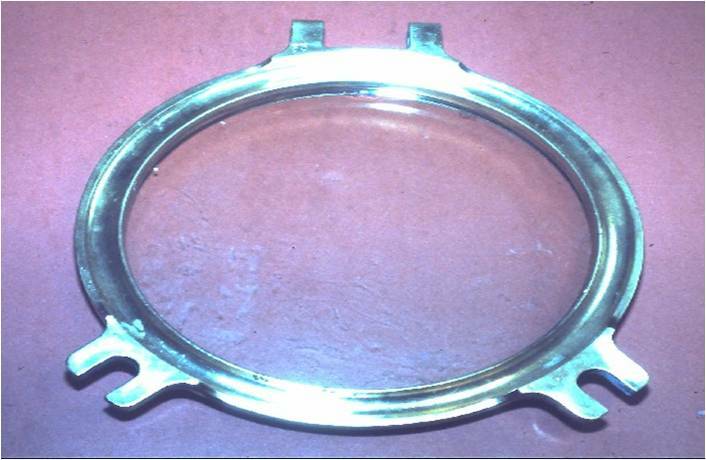 Here bridge windows, portholes, gauges and dishes bearing the shipping lines marked with a JL have been recovered. The dishes are leftovers of the former Danish lines, which were still being used by the Chilean crew. Additionally the wreck is a breeding ground for lobster. Many large trophy lobster have been caught here over the decades. Numerous bugs set up homes throughout the debris and beams. 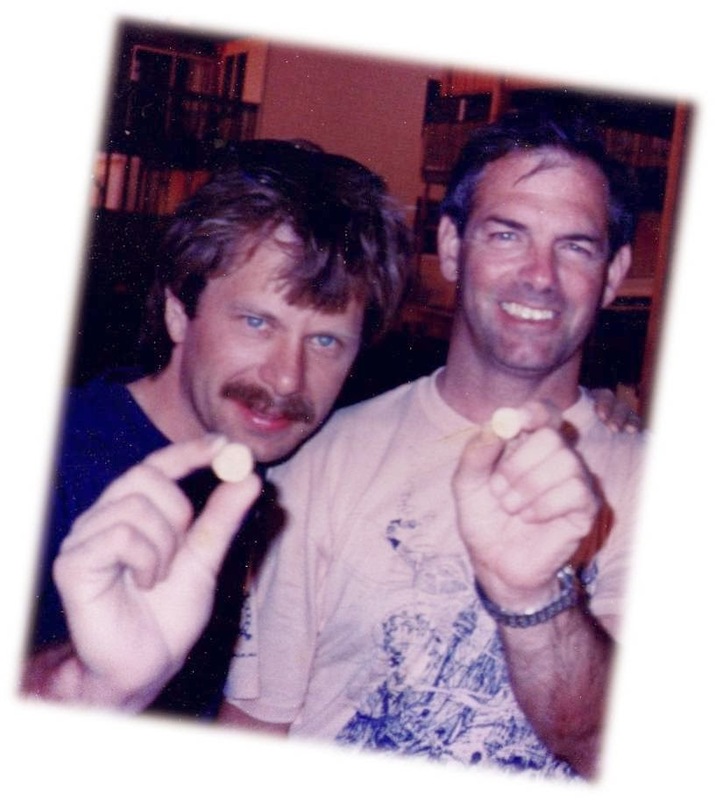 In the late eighties a 26 lb. 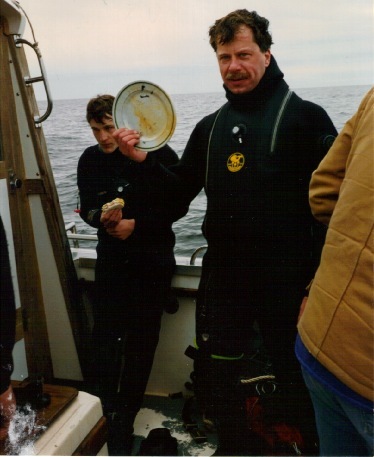 lobster was caught just under the stern by two divers on separate dives. One diver recovered the carapace after a preceding diver recovered only the crusher claw. The claw weighed 13 lbs. half the titanic bug's weight. This 470 foot twin screw tanker was built in 1925. 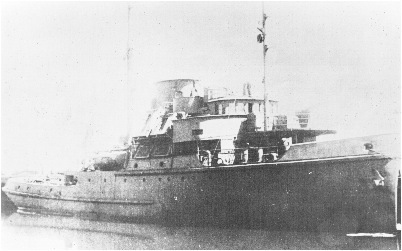 In January 1942, the Varanger was torpedoed by the U-130. 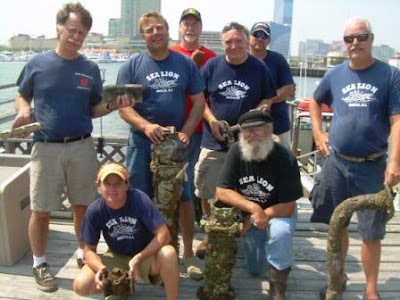 The wreck lies in 150 feet of water, about 28bmiles off of Atlantic City, NJ and lies on her keel with the top relief of 110 ft. The tanker has a 4 inch deck gun that fell of the stern ripping the deck open like a can opener. Stacks of gun shells, dishes, ammo boxes, flashlights and gallery pots were exposed. 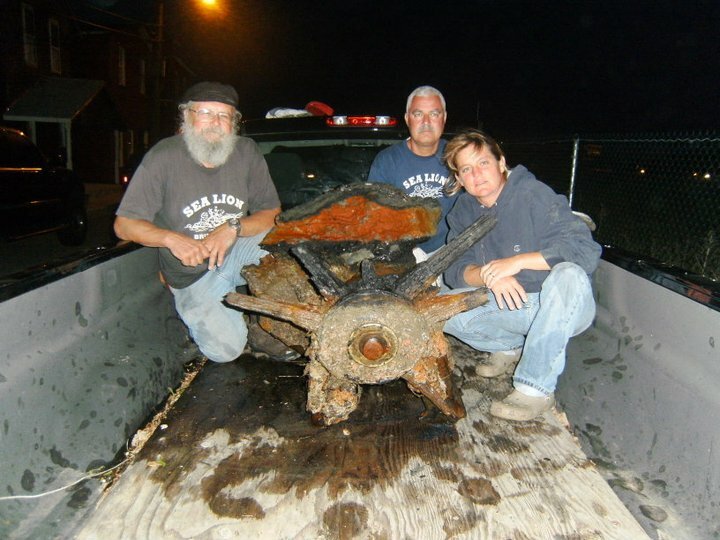 Lynn DelCorio and Gene Peterson recovered a large bridge telegraph and a brass binnacle in the early nineties here. Silver sugar bowl with shipping lines inscription. 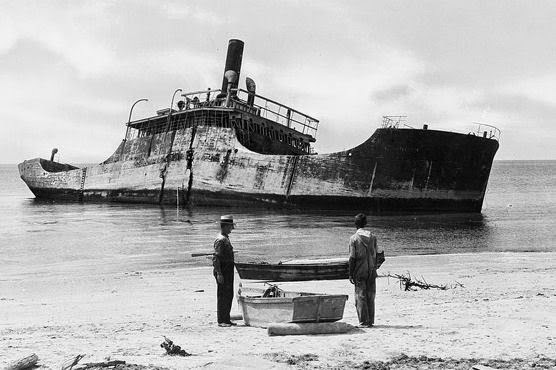 On October 30, 1890, this Spanish steamer was carrying a group of rich Cuban businessmen and their families when it was struck by the sailing vessel Cornelius Hargraves and suddenly sank. A terrible tragedy, where only 19 survivors were rescued in the cold night. 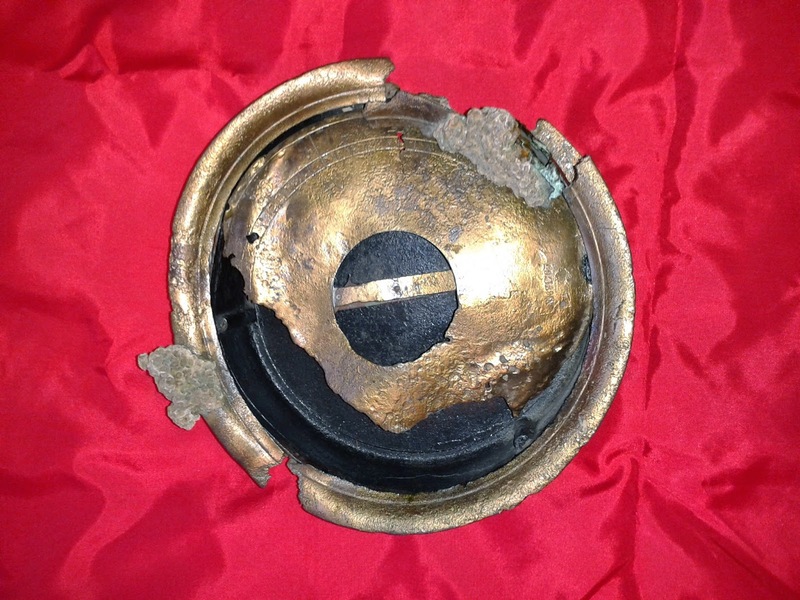 Several discoveries including silver bowls, platters and inlaid items have been found. One of the few shallow sites where true treasures remain buried beneath the sands. Wealthy Cubans were bringing a wealth of unique heirlooms back home. 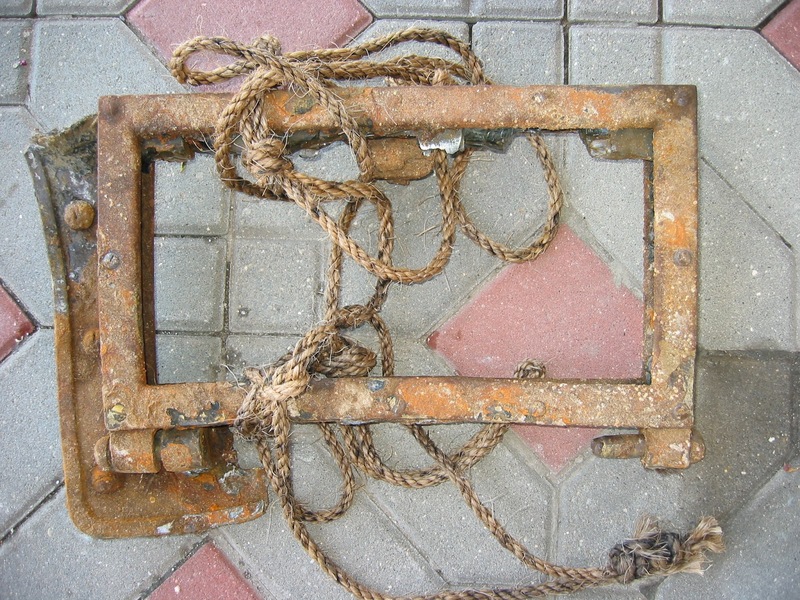 Common rigging including dead eyes are frequently uncovered by shifting sands as well as scores of personal effects left by the hastily escaping passengers. 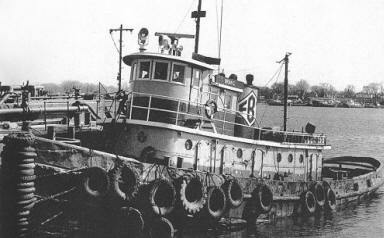 The tugboat William Farrel sank while being towed enroute to Barnegate Light, New Jersey. This 61 foot steel hulled tug boat that sank outside Barnegate Inlet in June 1979. 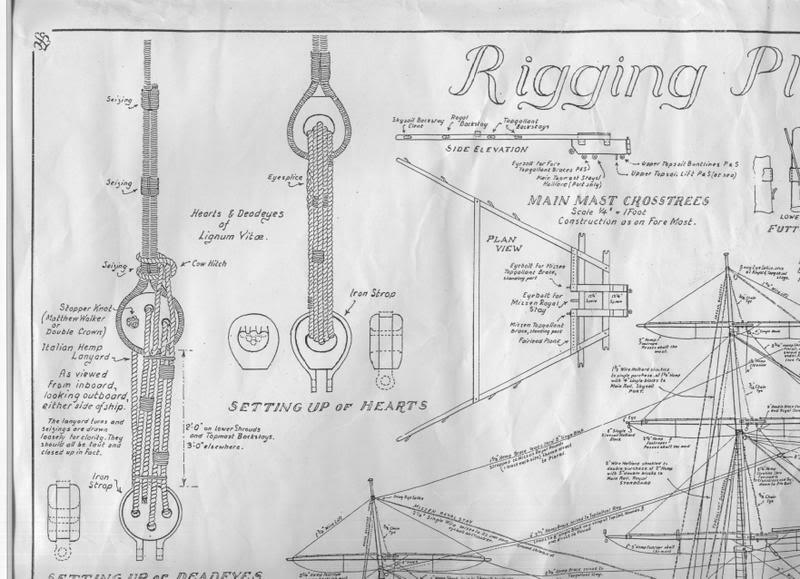 The tug's wheelhouse was ripped off and pulled under after being tangled during the tow. There were no casualties. 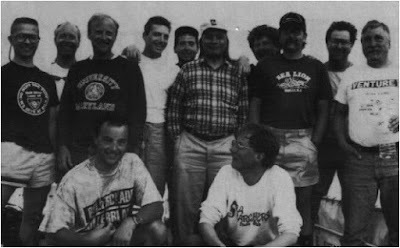 Starting with the most famous of North Atlantic Shipwrecks, Atlantic Divers has arranged several expeditions to the Andrea Doria. 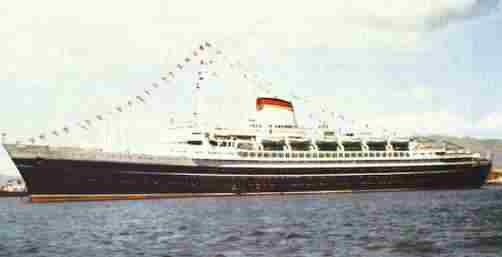 This 697 foot passenger liner was the flag ship for the Italia Lines. Built in 1952 in Genoa, Italy, the Andrea Doria was sank in a collision with the Swedish liner Stockholm on July 27, 1956. There were fifty casualties in the accident. Fog and misreadings of radar caused the loss. Neither ship was successful in presuading the courts to assign blame. Due to the distance offshore, (60 miles to the closest point of land), the extreme depth (245 feet), and the strong currents it is widely accepted as the epic Everest of wreck diving. Atlantic Divers has been involved in investigation of the wreck, major salvage and conducting charters the the Andrea Doria for more than three decades. 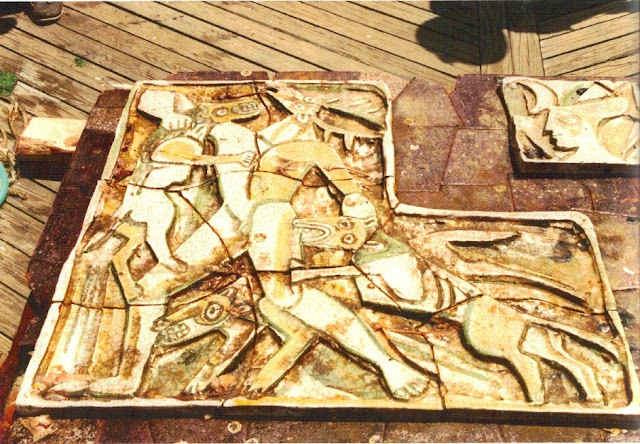 Included in this diving was the most noted recoveries of the two nearly 1/2 ton mosaic friezes created by Italian artist Guido Gambone on the 1993 Moyer Project. trips have ventured back to the site. Numerous portholes, as well as auxiliary steering equipment were found on our last trip to this exciting wreck. 190 feet of water off Virginia - Maryland border. 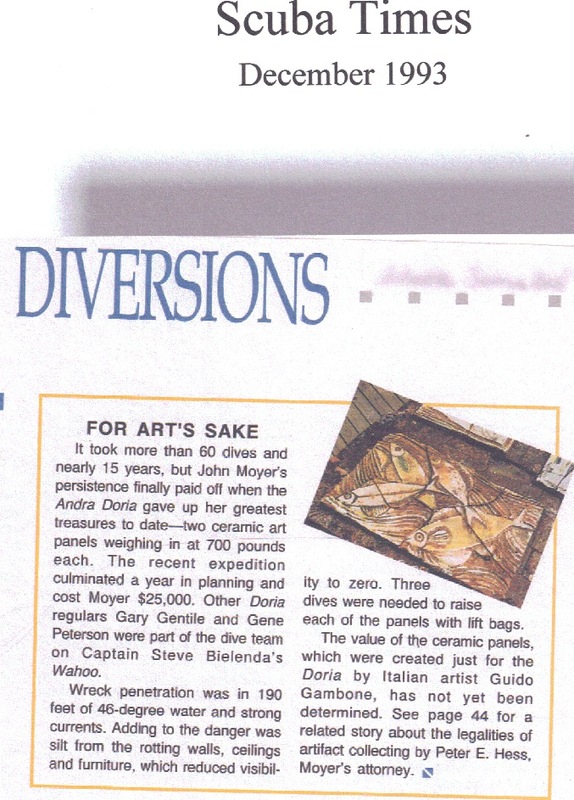 The John Morgan and the Lillian Luckenbach are must dives for photographers and artifact hunters. The John Morgan is very popular and dived quite often by Virginia Beach boats. The wreck is festooned with wooden cases of gun shells, copper sheathing, airplane parts, plus valentine tanks, jeeps, tractors and rare motorcycles. 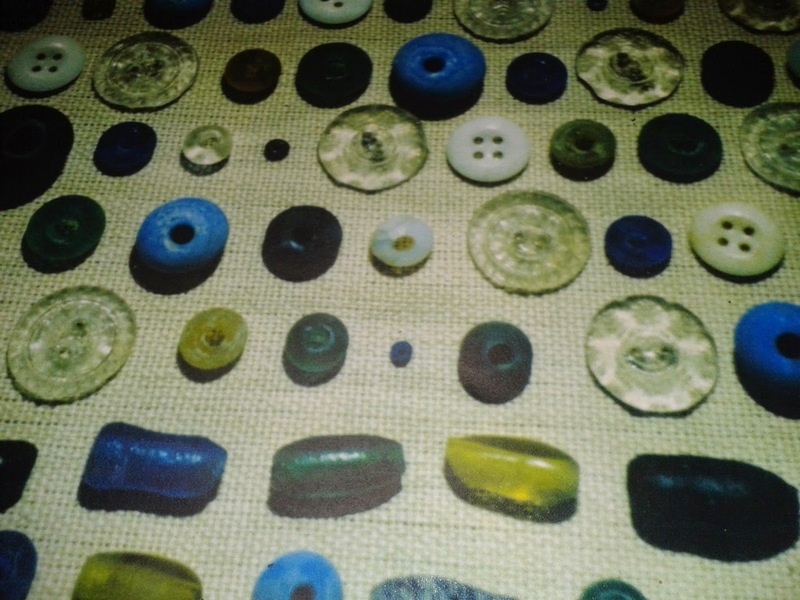 Look for the small unique artifacts that lay mixed in the rubble. Several brass flare guns, pistols, machine guns and rifles have been discovered buried in the cargo holds. On one instance, a complete brass flare gun pistol was found laying in a Valentine tank. Also small motorcycle insignias are highly valued, when lucky finders have discovered these. 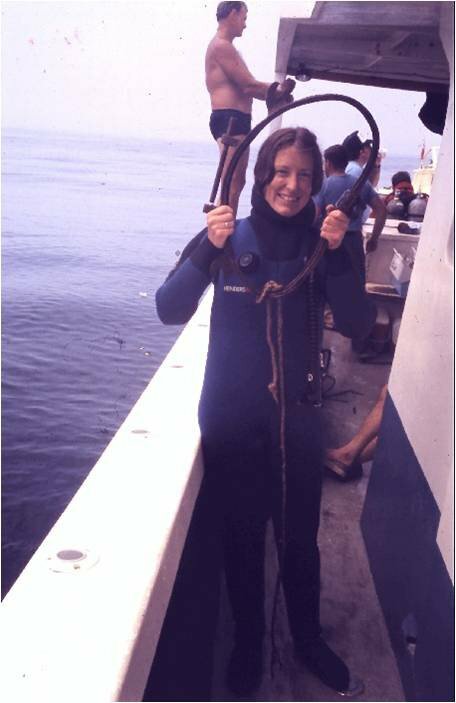 Divers have a second premier choice to dive close to Virginia Beach, the less visited Lillian Luckenbach. 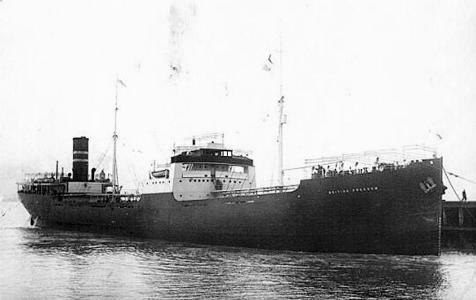 The Luckenbach was in collision in March of 1943, a few months prior to the sinking of the Morgan. Heavy inbound and outgoing traffic created the demise of both of these war bound freighters. Like the more dived Morgan, the Luckenbach was also loaded with an equally huge cargo of war necessities. Because the Luckenbach is a few miles further south east of the Morgan, most boat operators elect to stop short at the Morgan. Therefore the Morgan remains a more popular destination by default. Less explored, fairly intact, lying starboard side up, the wreck of the Luckenbach can be easily navigated. More openings allow the experienced diver to penetrate throughout the stern and the able artifact hunter can expect to find many unique discoveries. 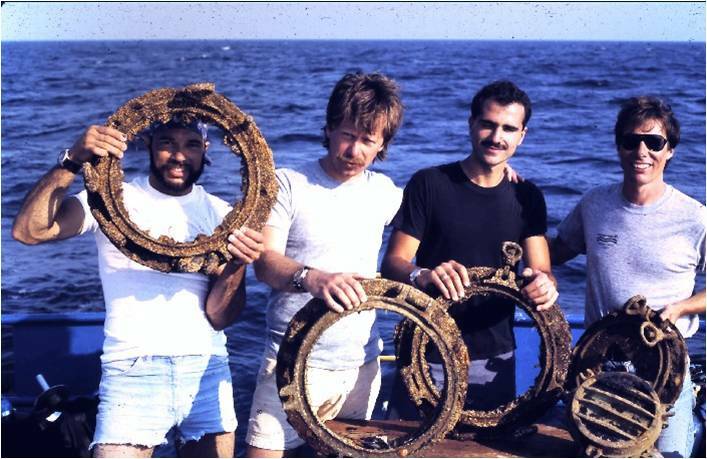 Off the wreck in the mid section, several hull pieces still have attached portholes from the wheelhouse and machine guns protrude through the wreckage of airplane wings and mixed with assorted metal machine parts. 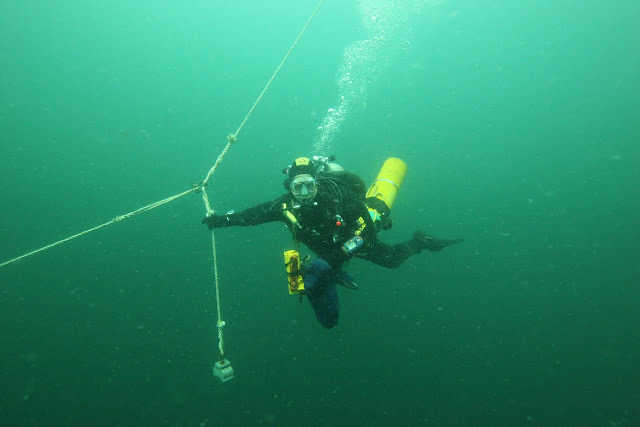 An awesome dive with great potential for notable finds is expected here. 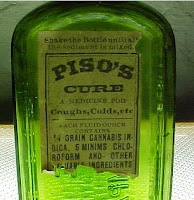 Many cure all bottles like Piso's Cure have been discovered in the cargo. Old Homestead sewing machine parts found in the stern. 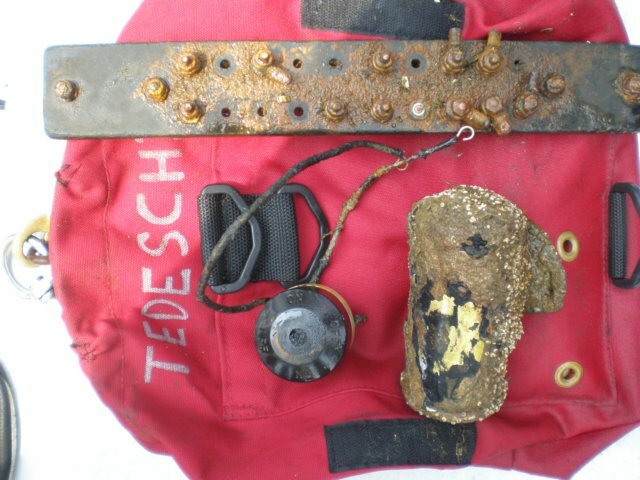 A treasure trove of assorted cargo lie beneath the sand of this passenger steamship sank in summer of 1888. Her cargo was valued at over one million dollars at that time. The masts stood out of the water and remained a hazard to navigation until they where dynamited in the fall of 1888. 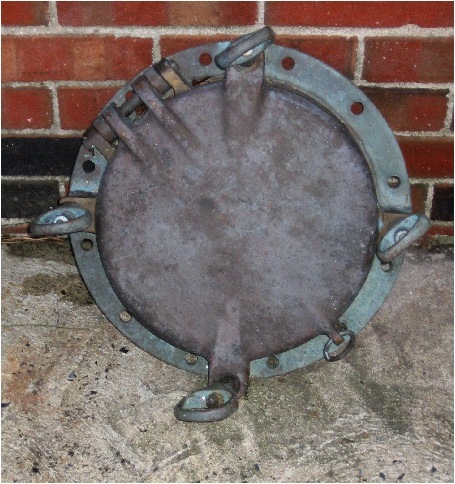 The Baker Salvage Company worked the wreck site interrupted by weather and sea conditions for a few months. 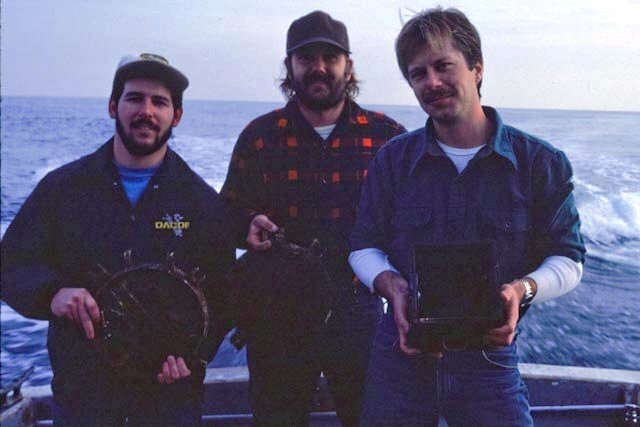 Little was retrieved due to the great distance offshore and the depth of 110 feet. 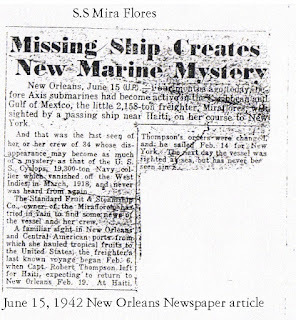 Sinking of the Lady Mary report. 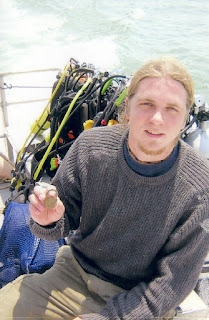 Atlantic Divers prime focus is diving historical wrecks. There are many artificial reefs off the Mid-Atlantic -New Jersey Coast that offer many rewarding experiences and an abundance of marine life for sport diving.